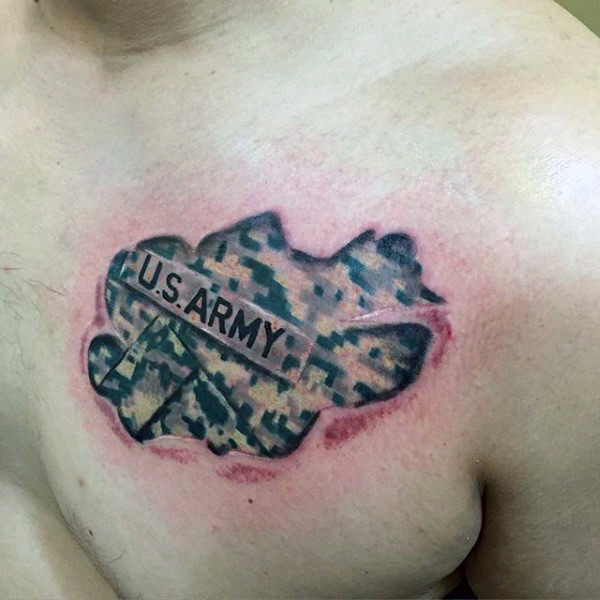 Do you want to show your respect for your country by engraving army tattoos on your bodies? 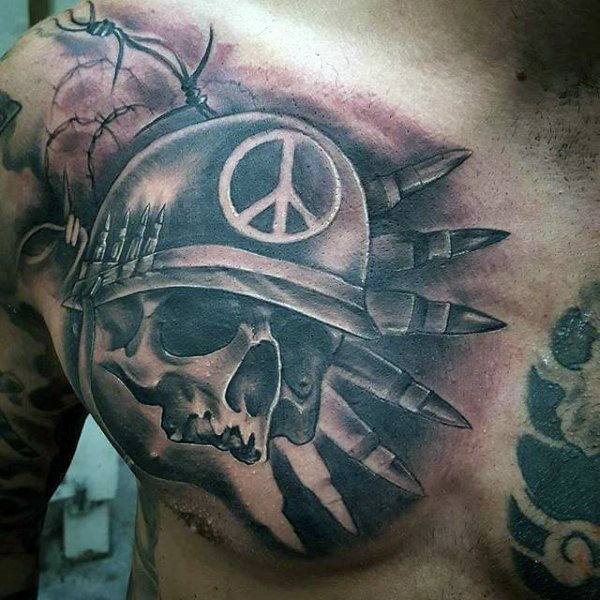 India is one of the most powerful nations in the world today. 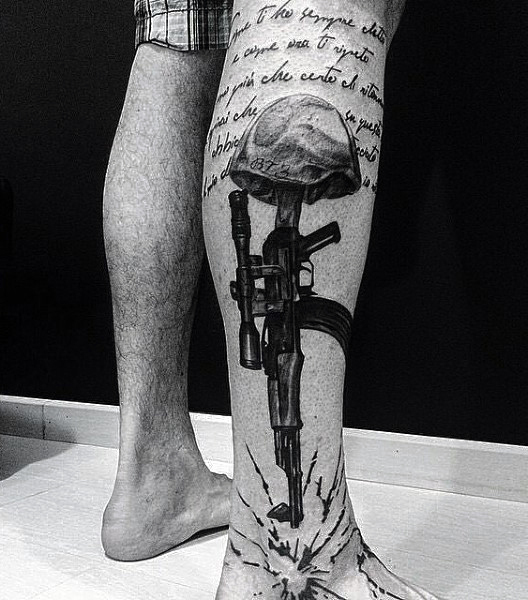 Although we love peace and cool about most things, when it comes to patriotism, we Indians are sentimental a lot. 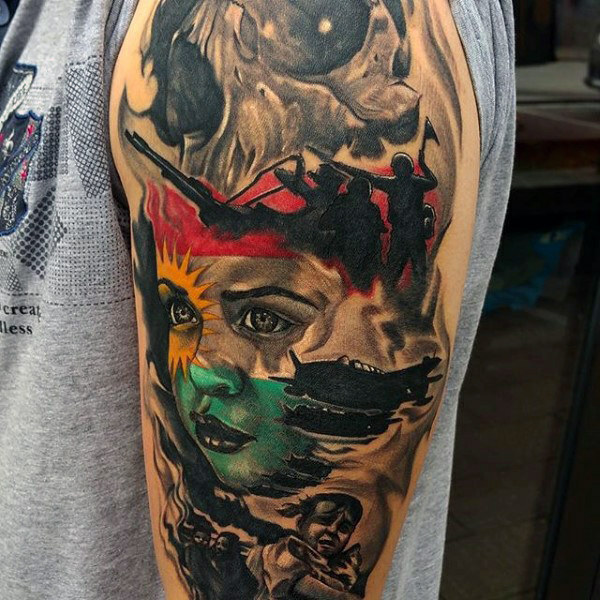 The young people of India, regardless of their religion, cast, state, or language, want to express their love and loyalty towards the nation through displaying patriotic imageries through their bodies. 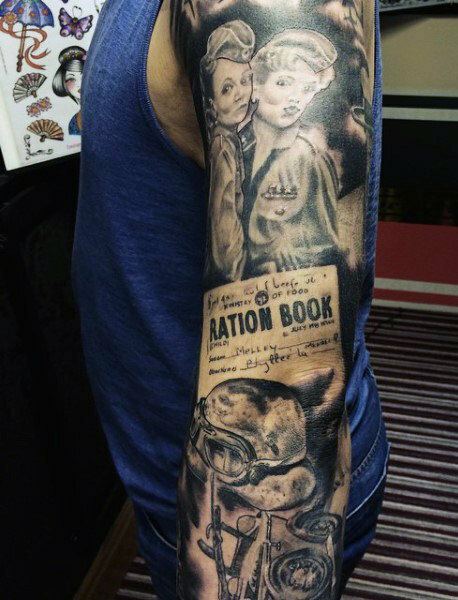 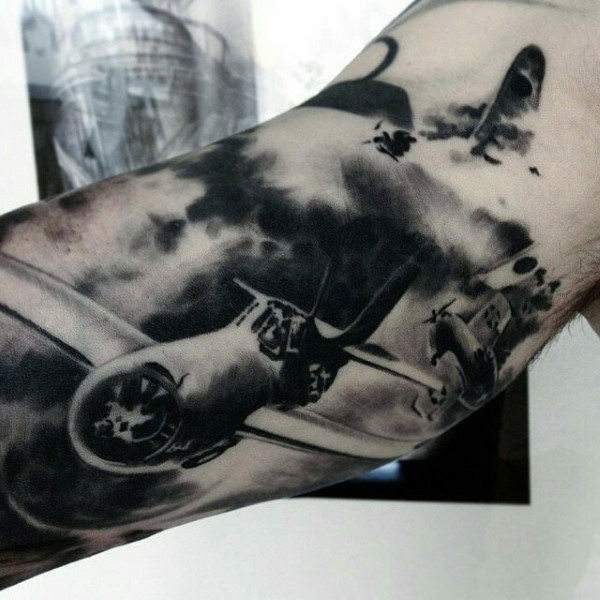 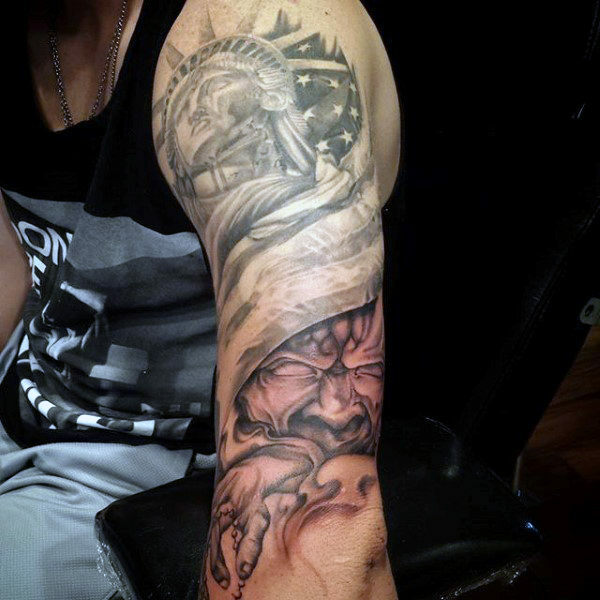 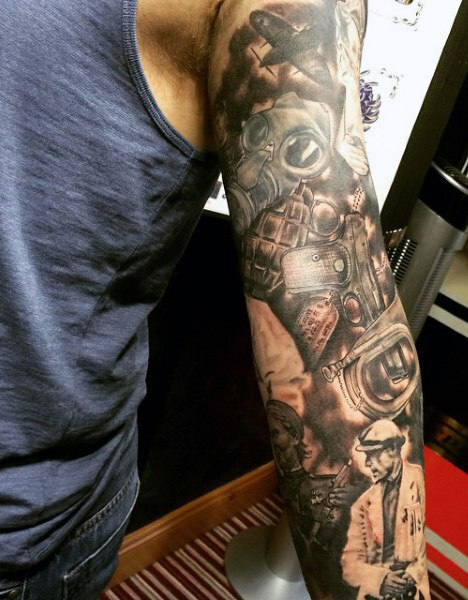 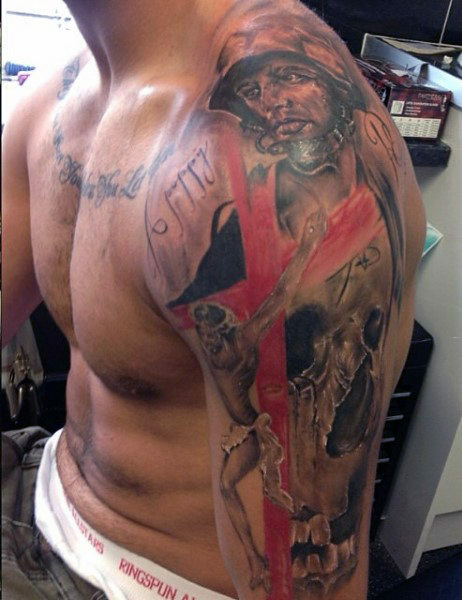 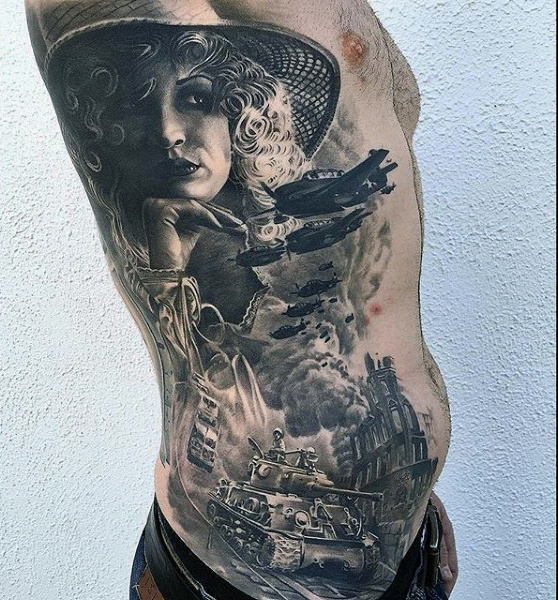 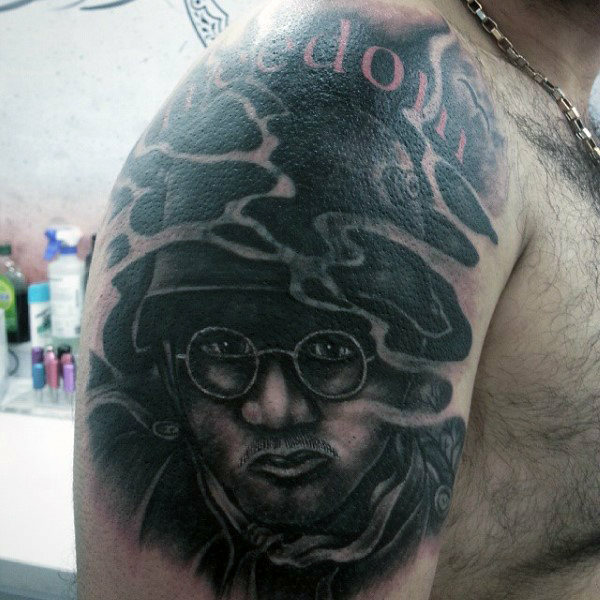 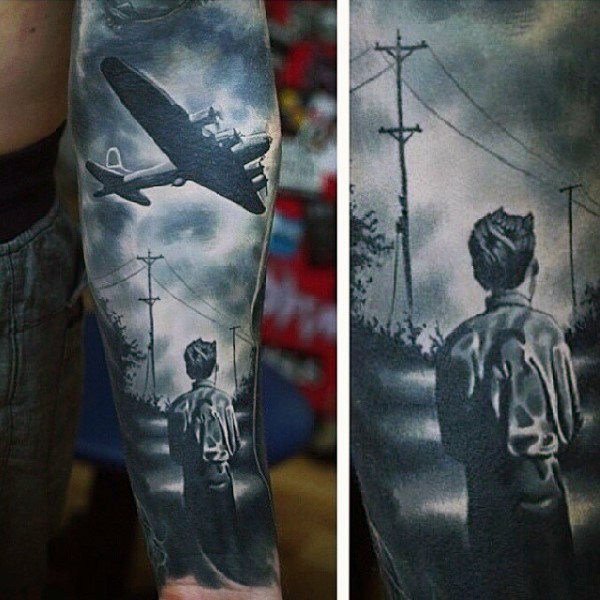 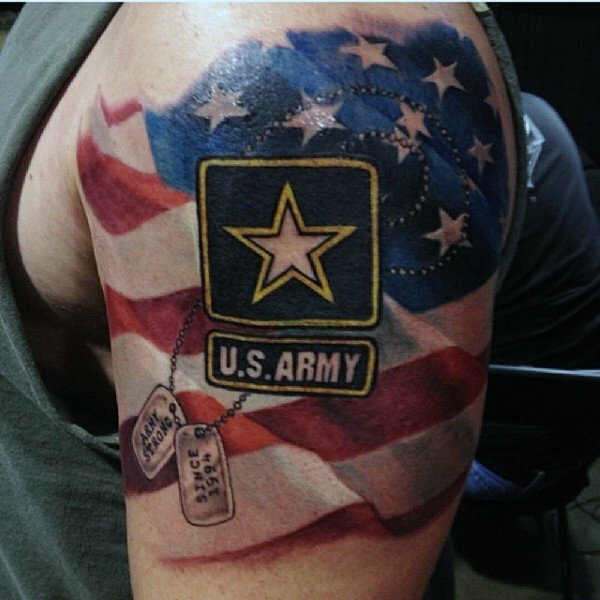 Through inking your body, you send an instantly recognizable statement that your life is dedicated to your country. 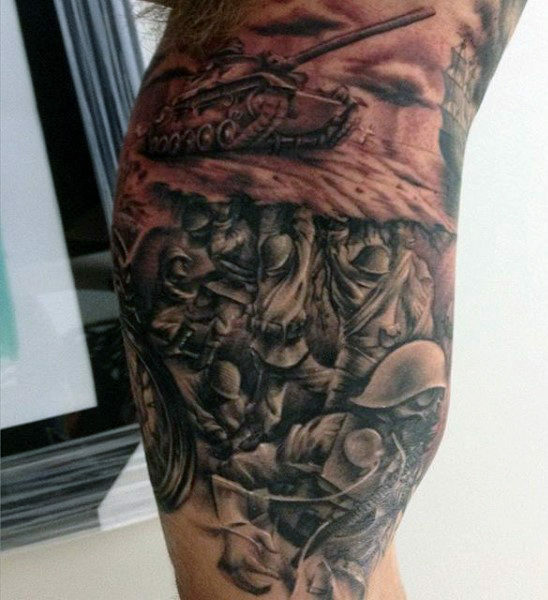 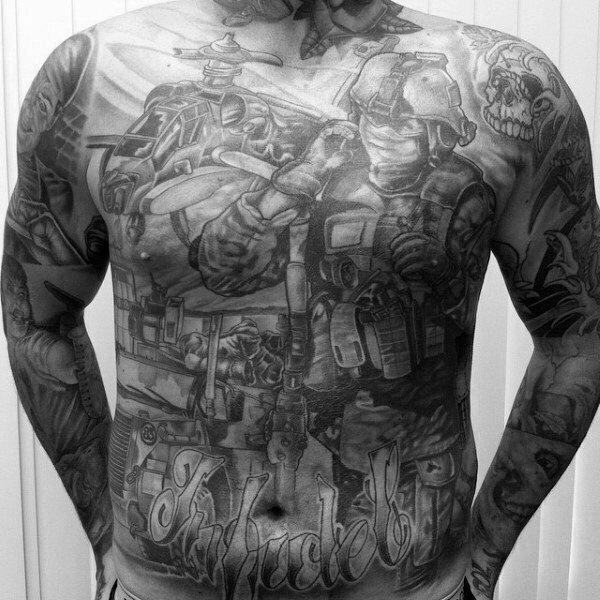 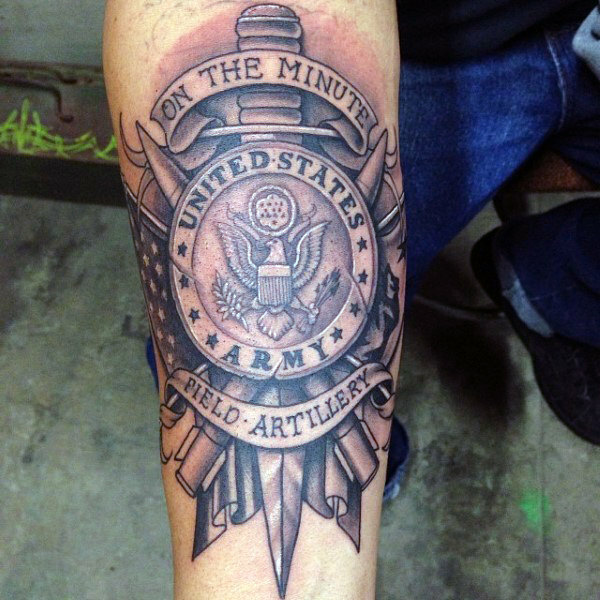 An army tattoo says a lot about a man’s ideology and perspective towards life. 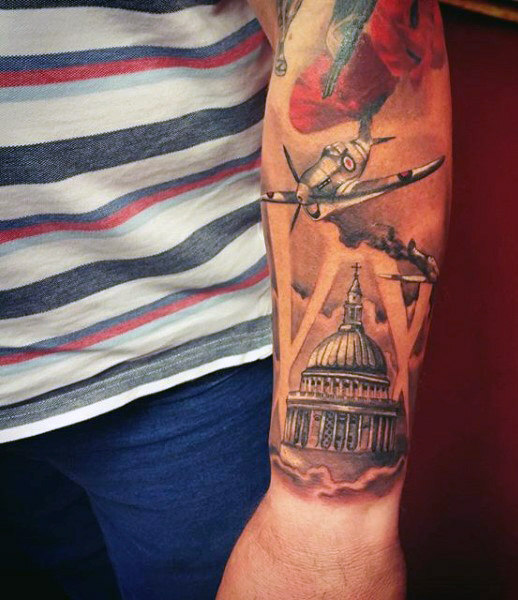 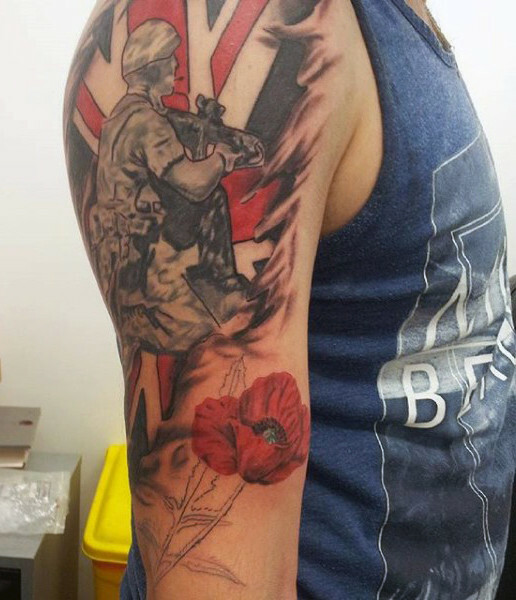 One of the best examples is flag-waving tattoos. 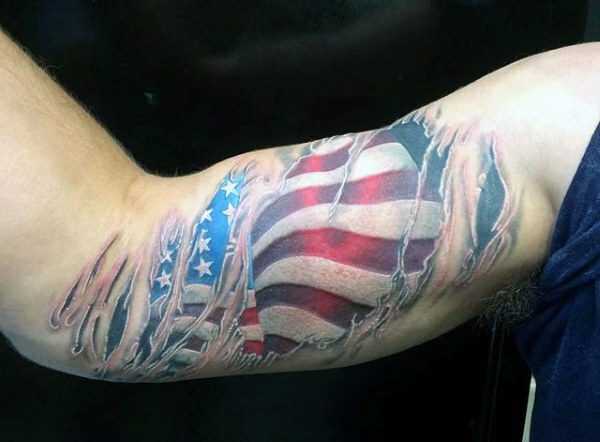 The flag is a symbol of liberty and is considered the best design to spread the message of peace and unity. 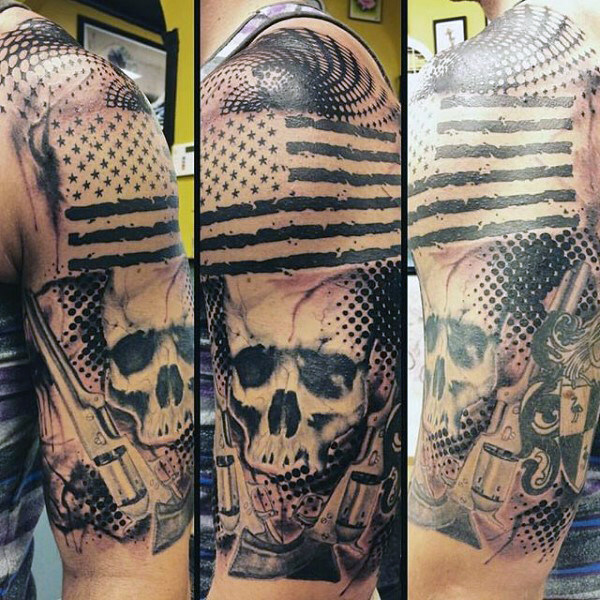 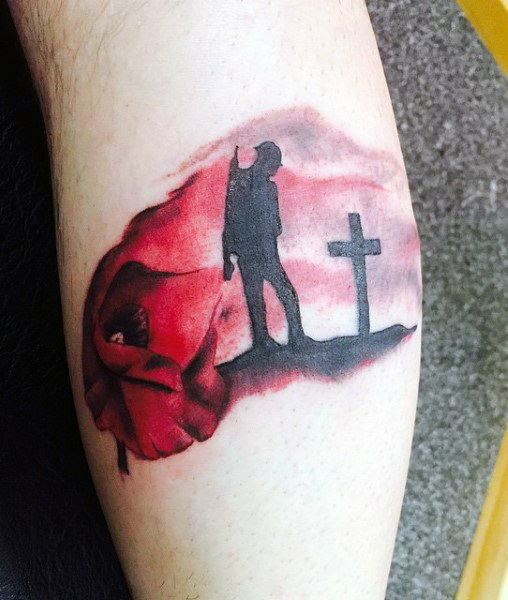 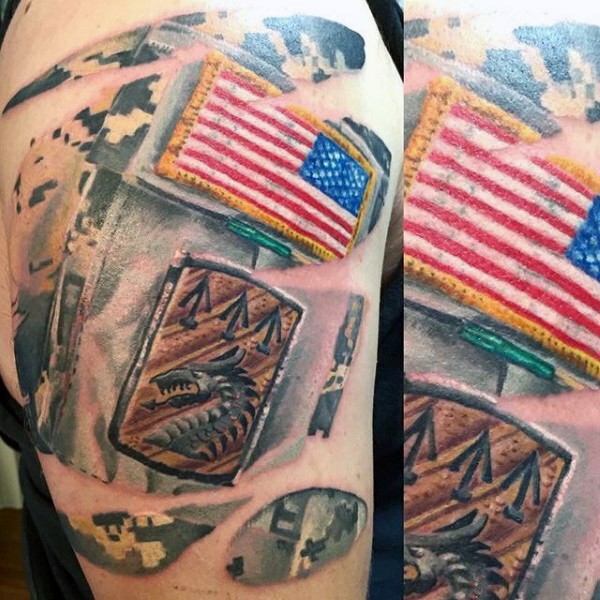 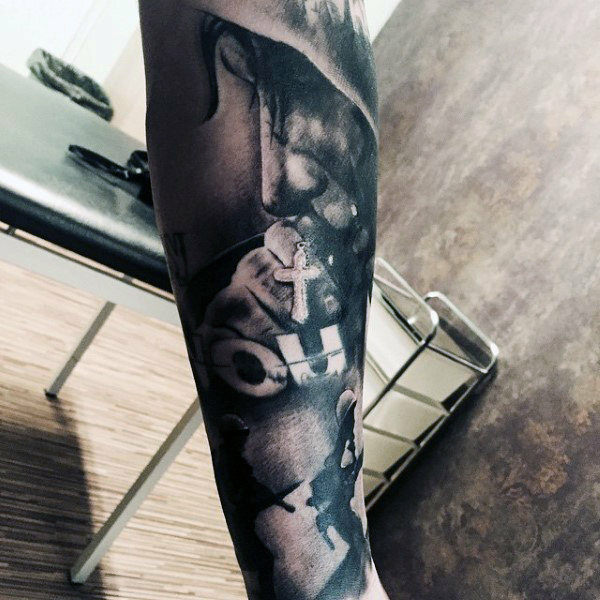 Although it is important to make sure that the tattoo should not be depicted in a way which offends somebody’s sentiments attached with the flag. 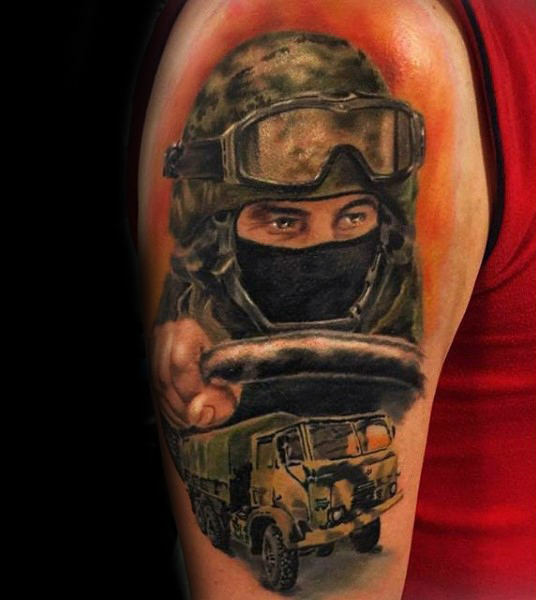 The army represents the powerful side of a country. 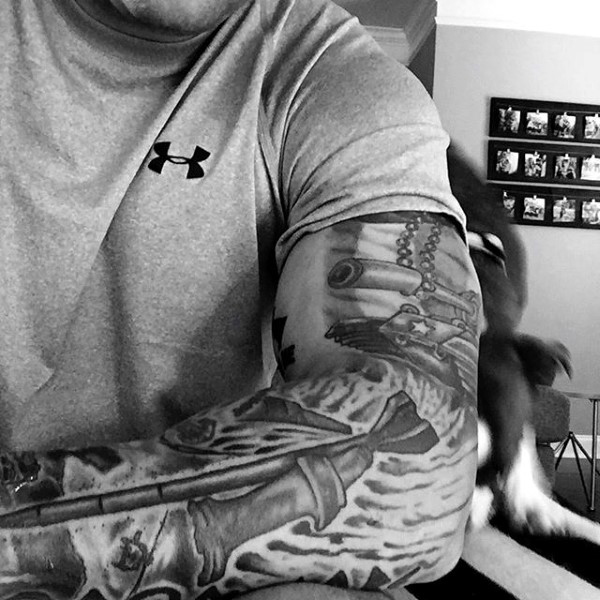 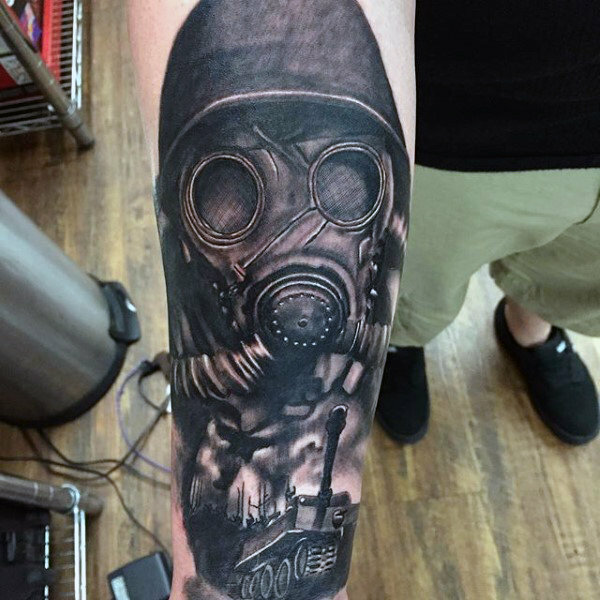 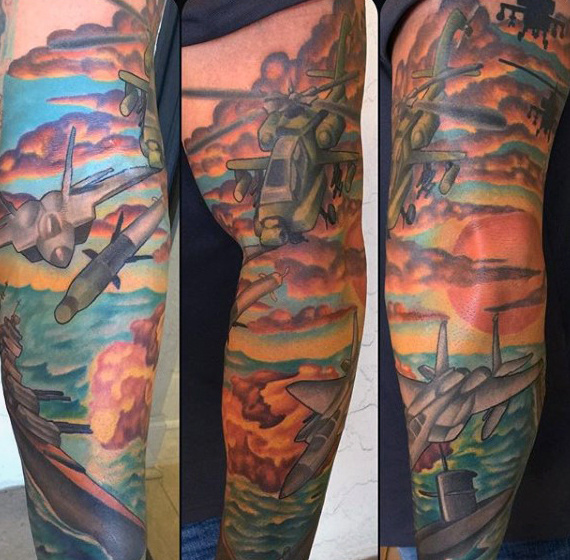 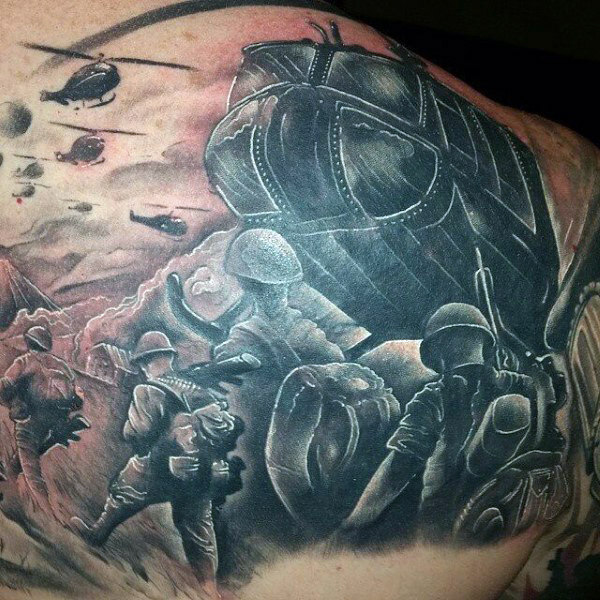 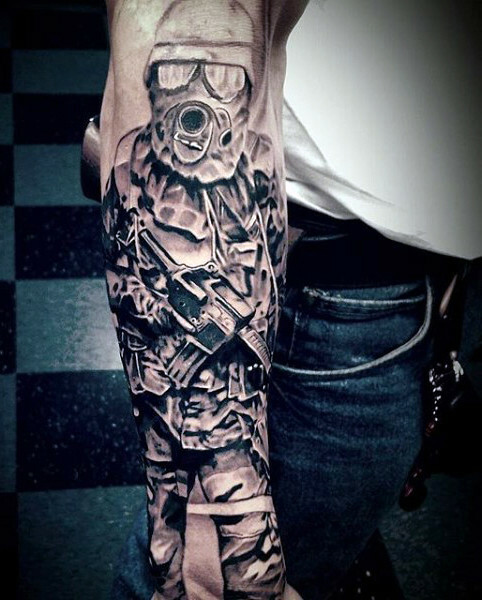 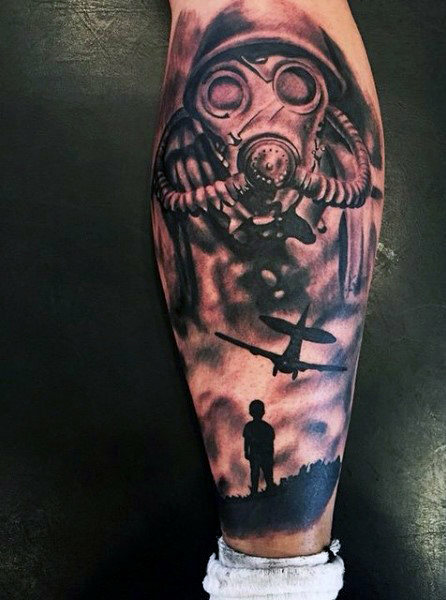 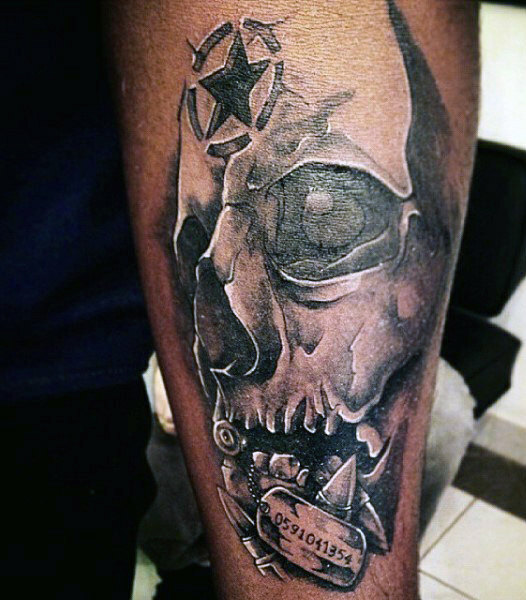 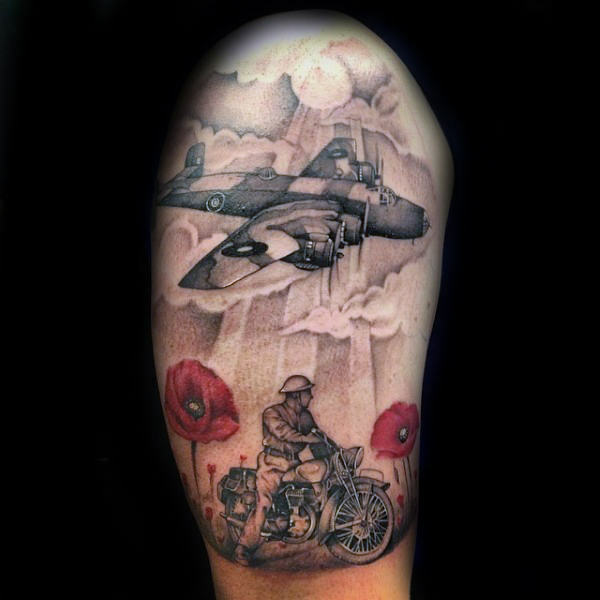 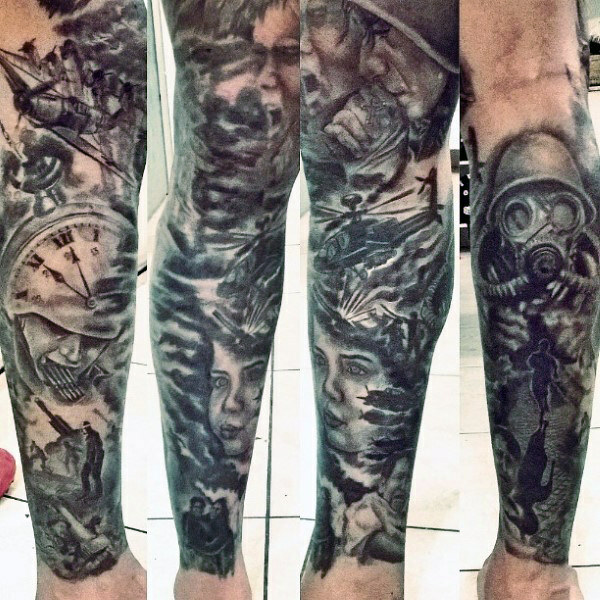 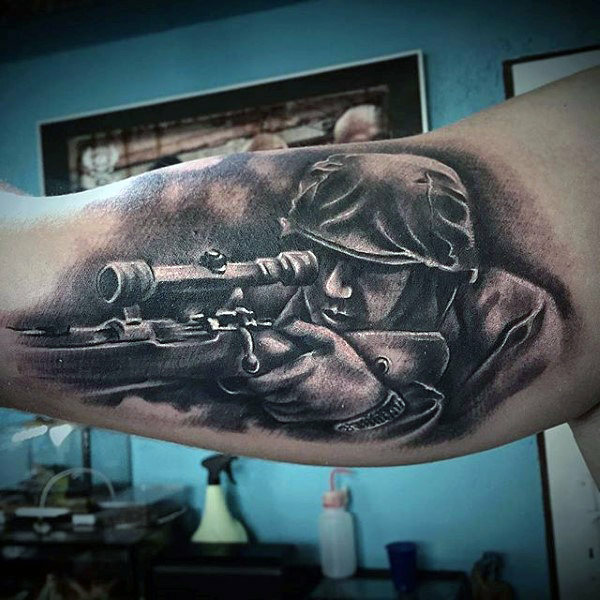 Army-Military tattoos have symbolic means which indicate superiority and strength. 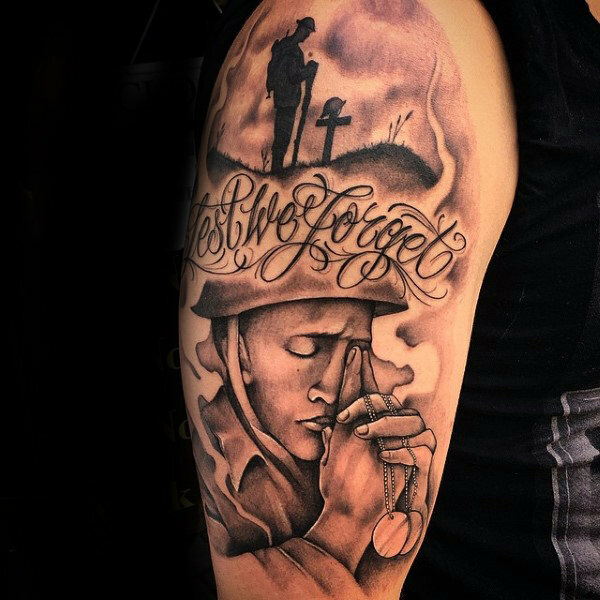 They help you demonstrate your respect for the soldiers who fight for the nation and put their lives in the line of duty. 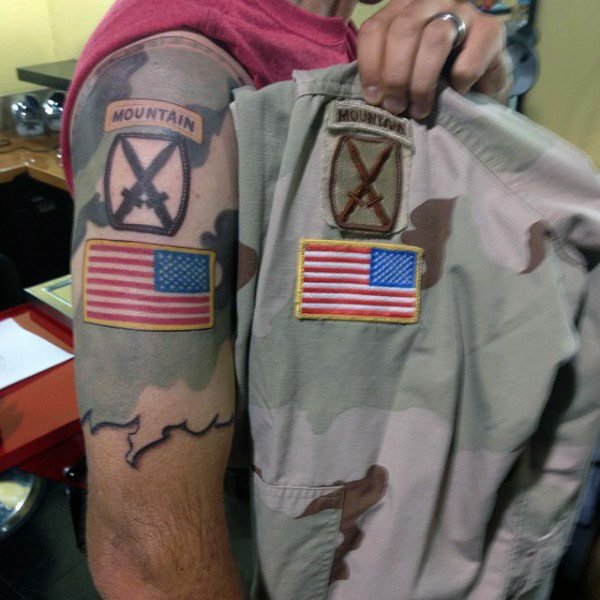 Not only they make the wearer appear unique in the crowd, but they also put a positive impact on his life by unearthing his inner feeling of patriotism. 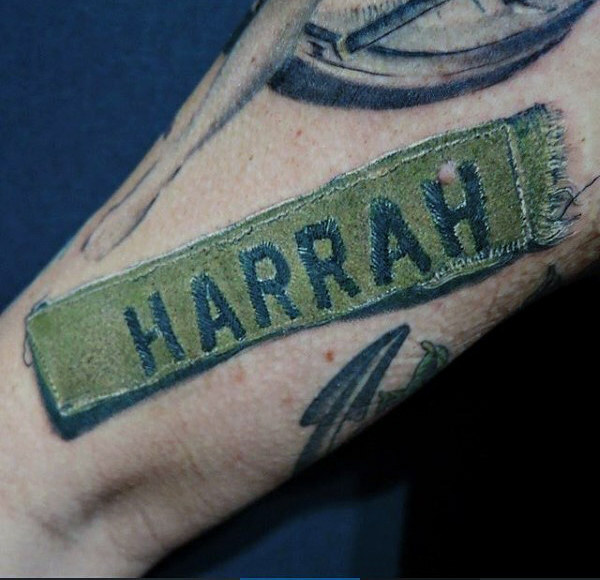 You can have these tattoos crafted on any part of your body such as arms, shoulders, hands, neck, etc. 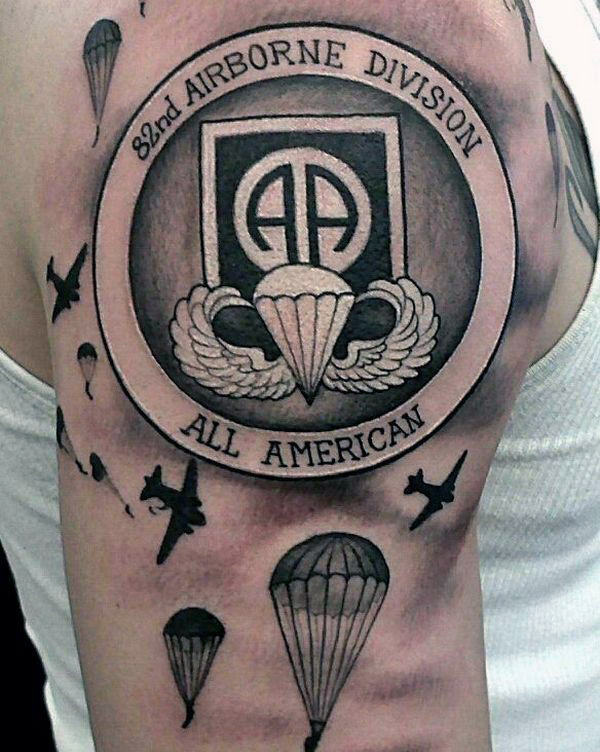 Be careful about choosing the location of the tattoo as the army symbols means a lot to lots of people and you must respect their emotions. 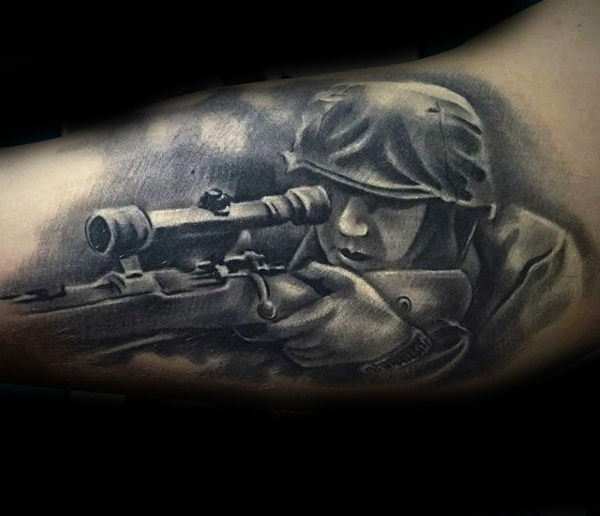 There is a variety of tattoo options available in various sizes and shapes centered on the bravery and honor of the Indian army. 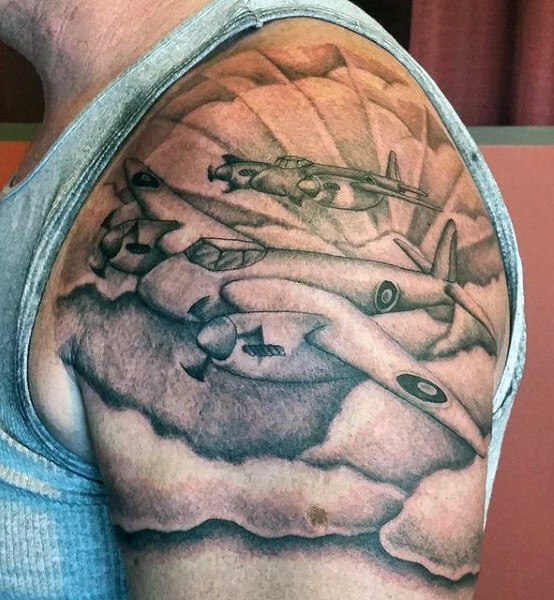 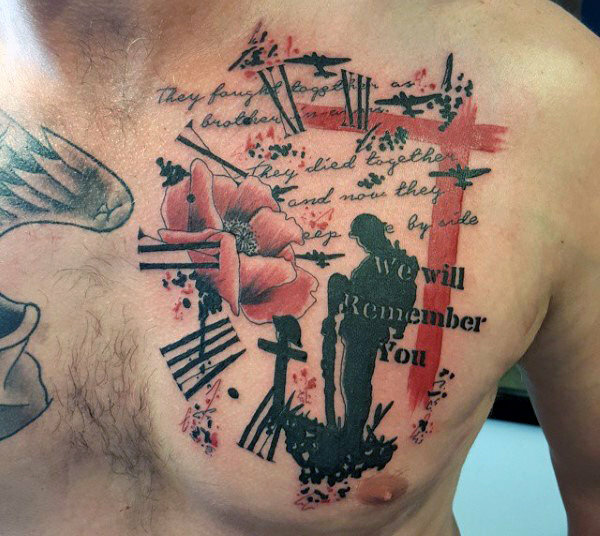 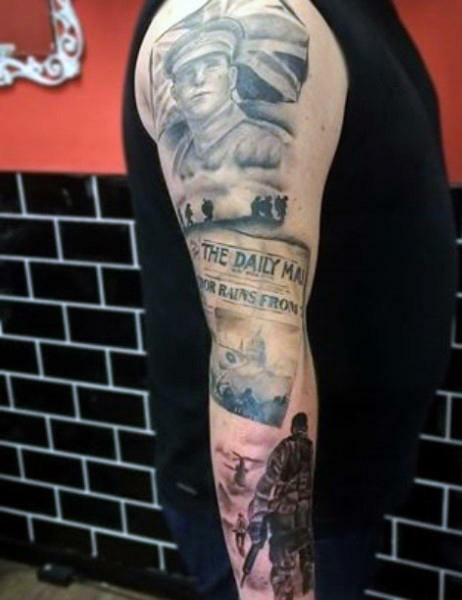 Attached with inspirational quotes, a military tattoo gives you a glorious appearance and denotes the very essence of your emotions attached to your nation. 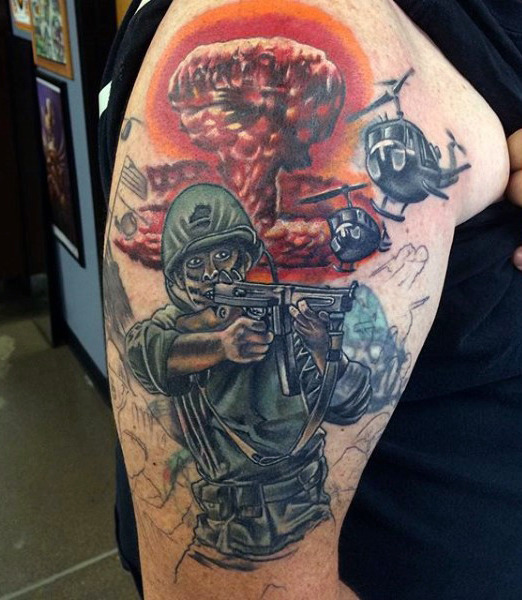 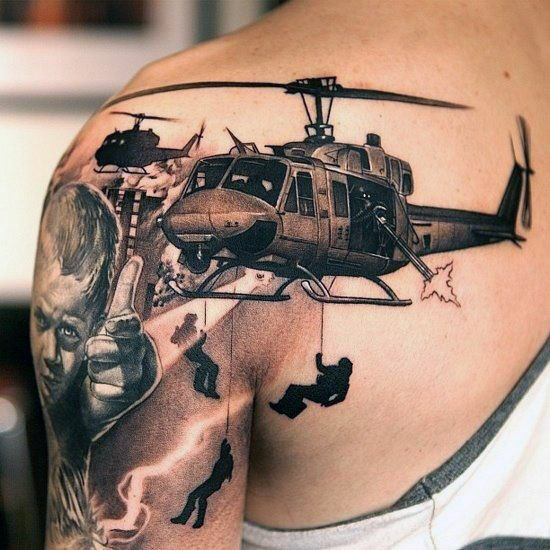 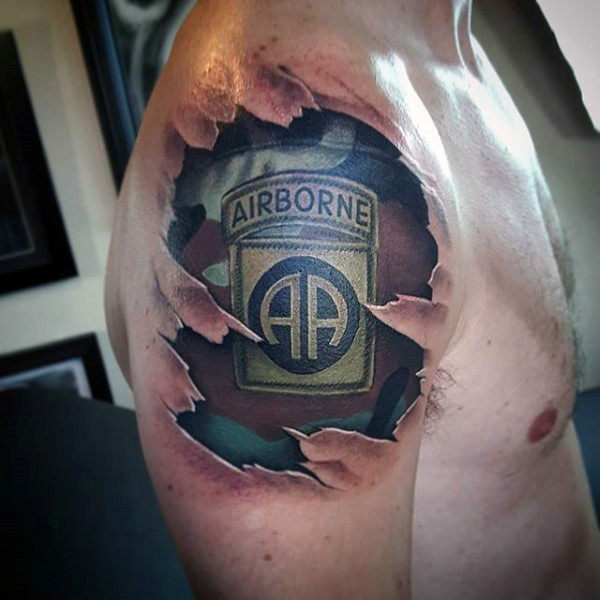 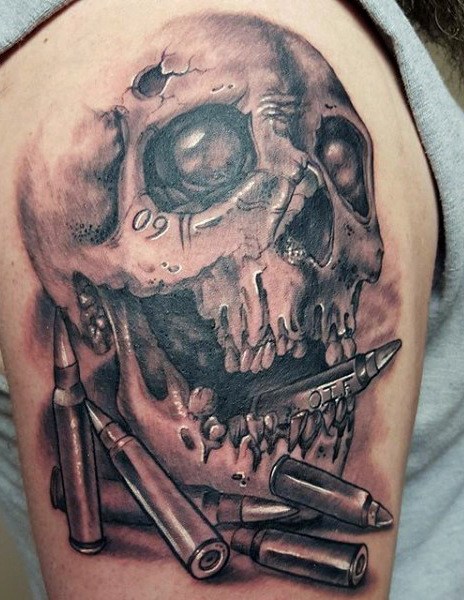 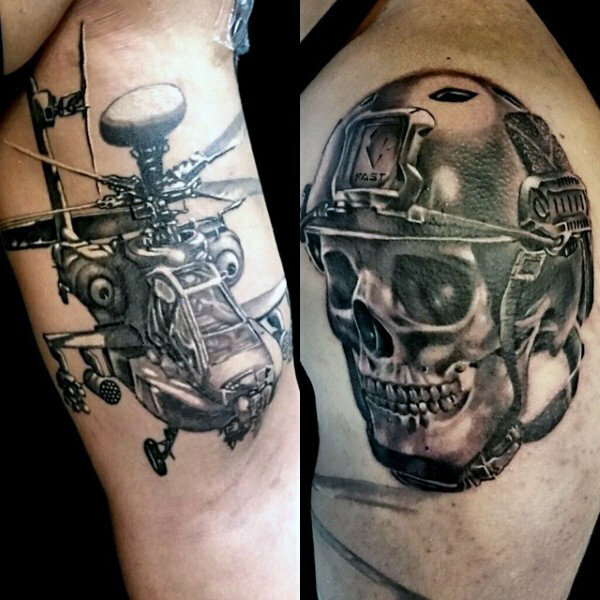 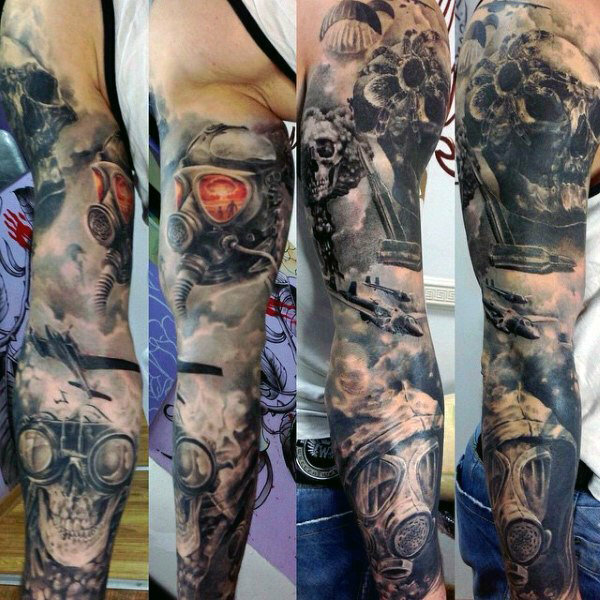 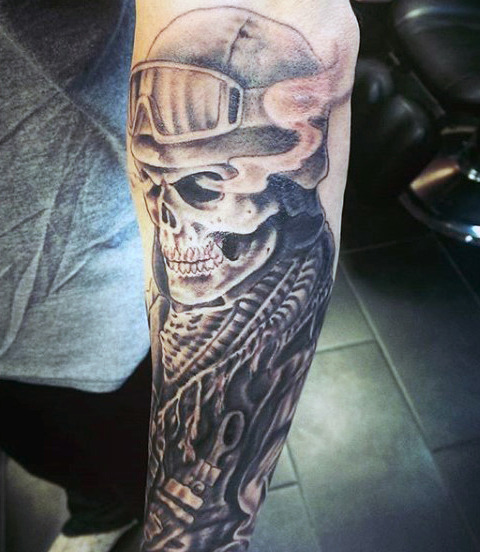 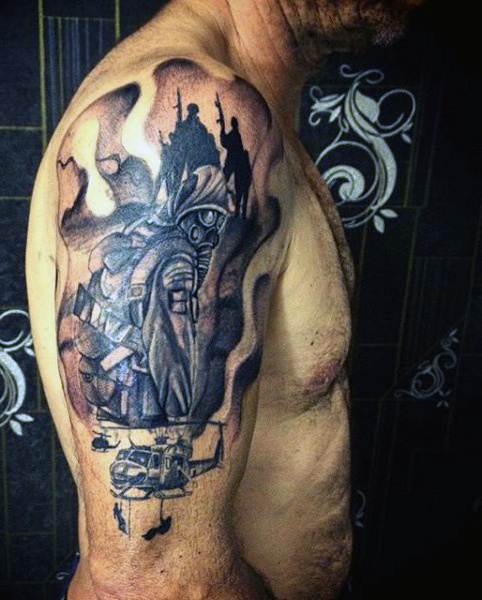 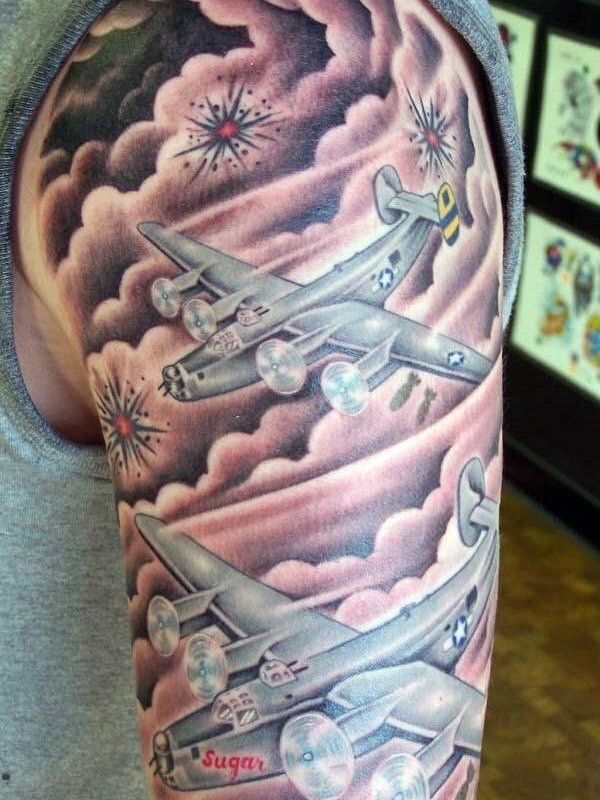 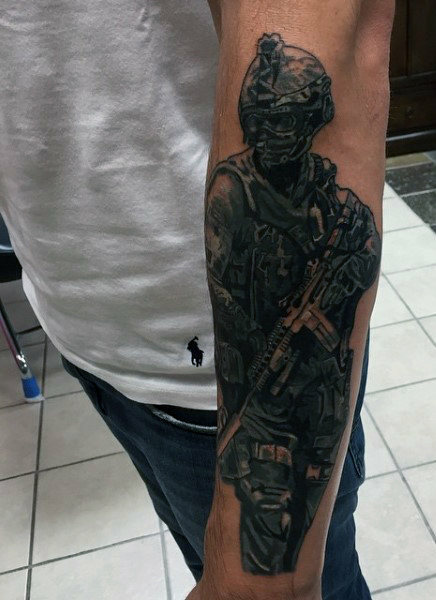 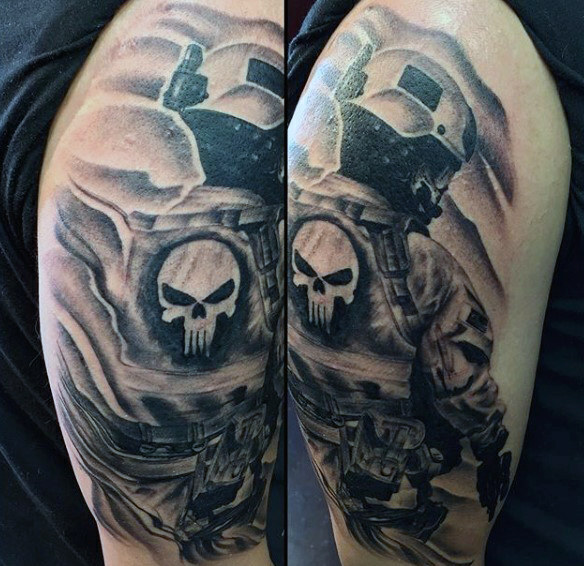 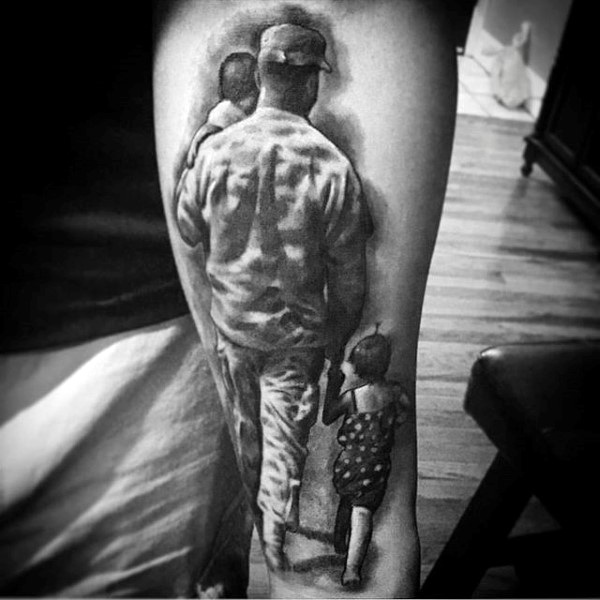 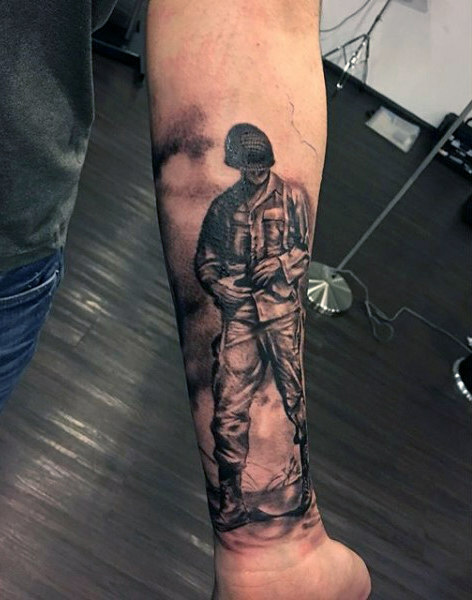 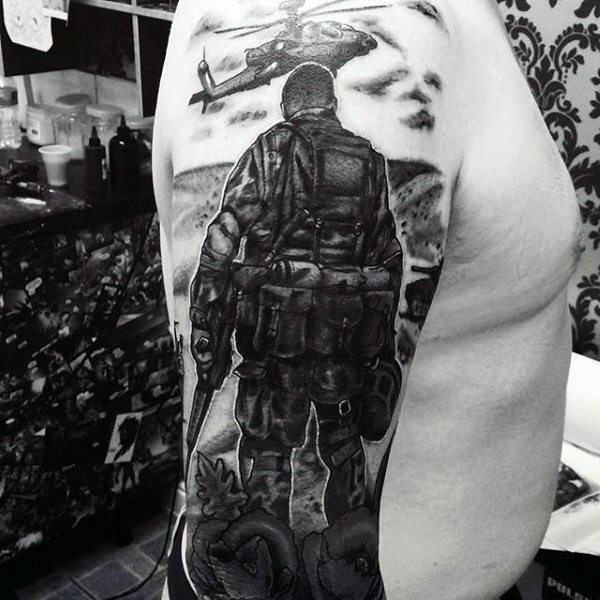 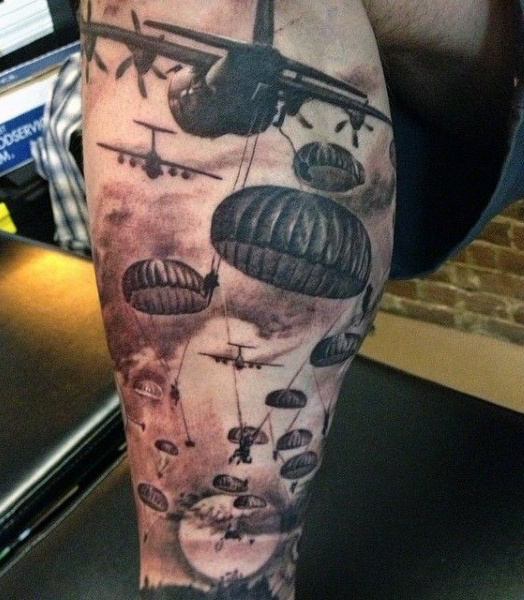 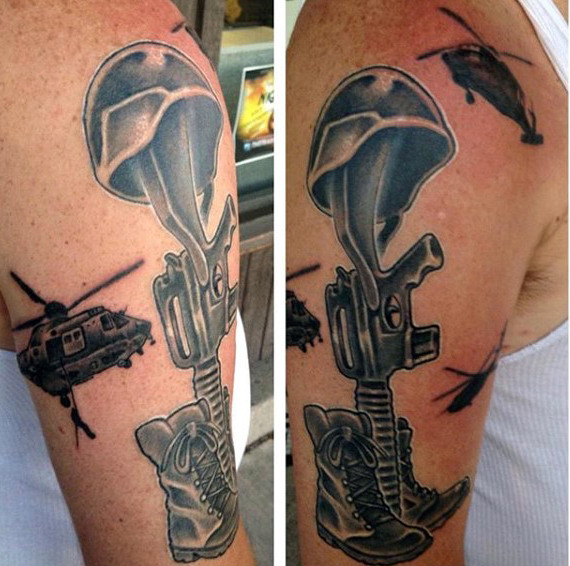 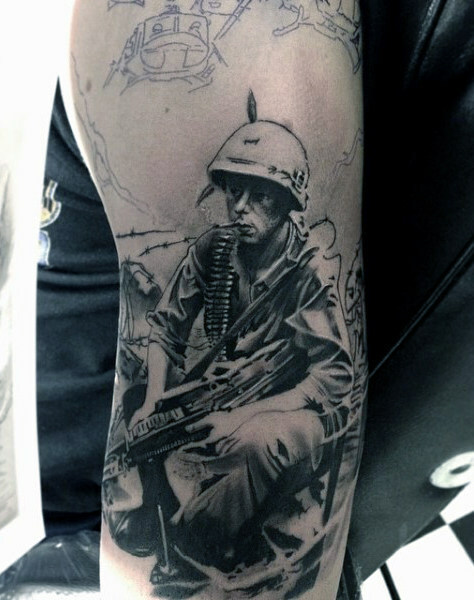 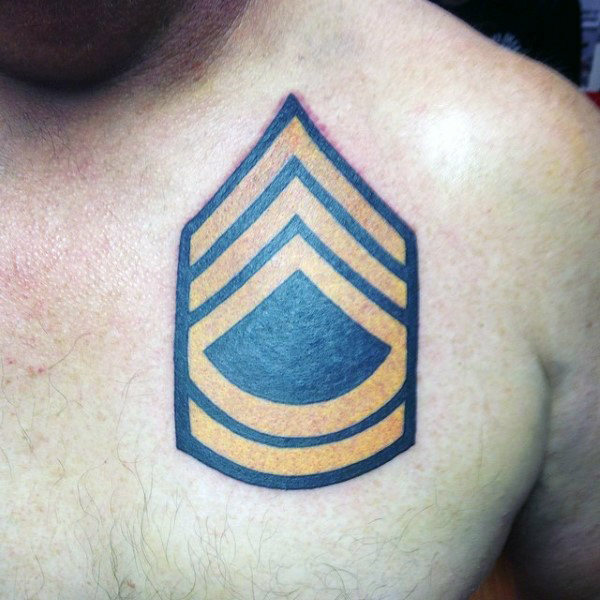 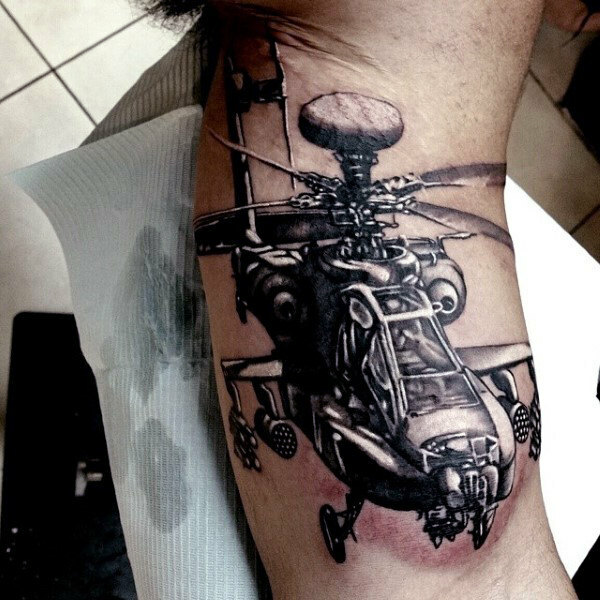 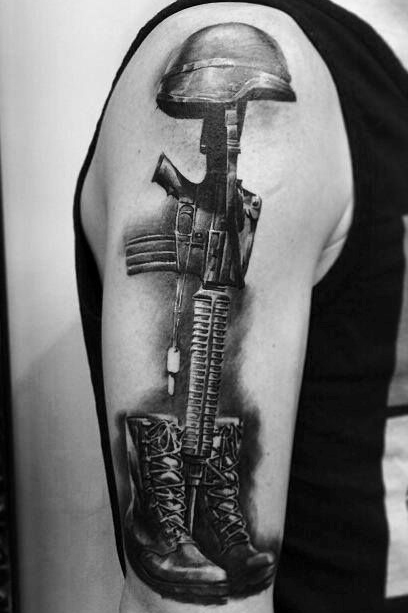 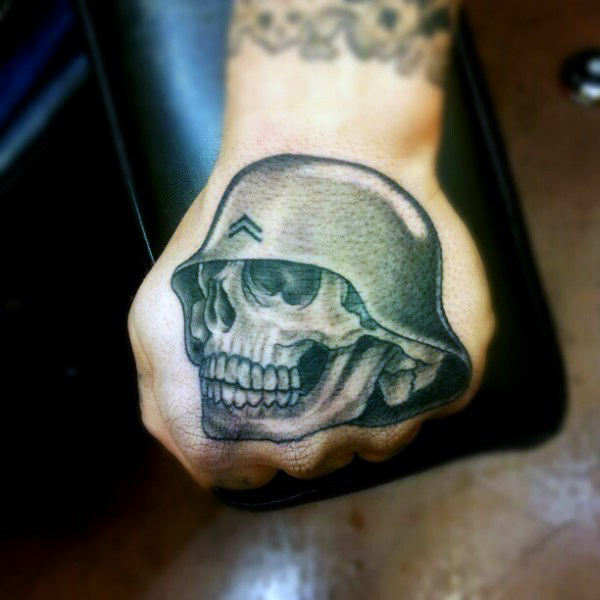 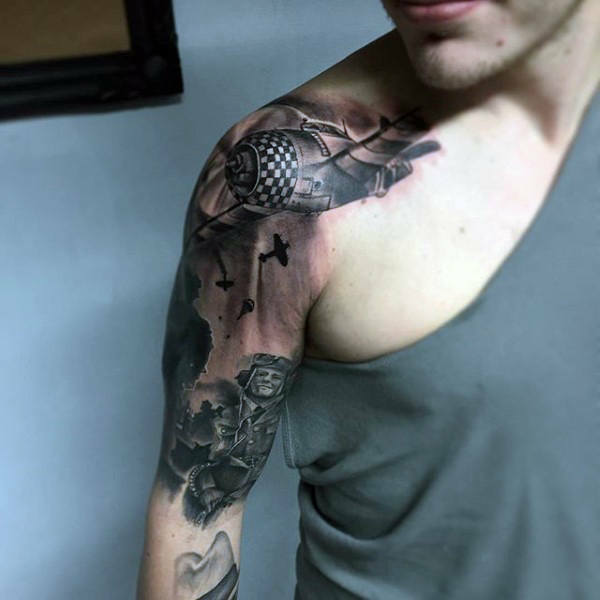 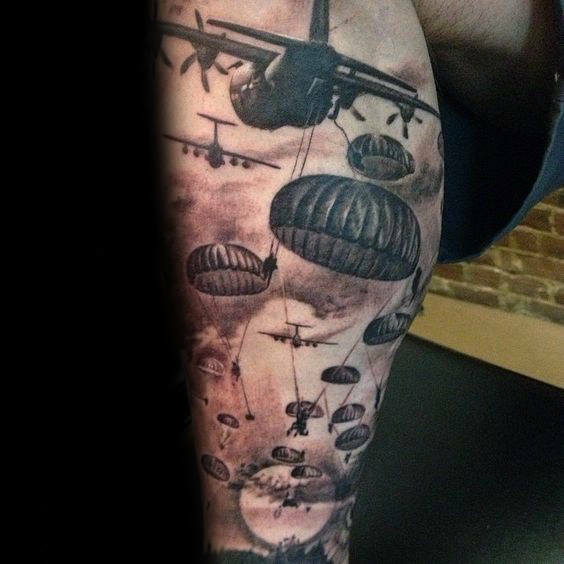 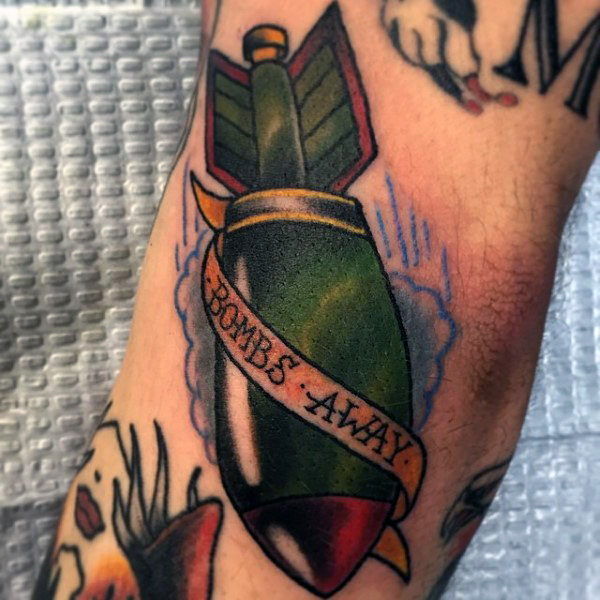 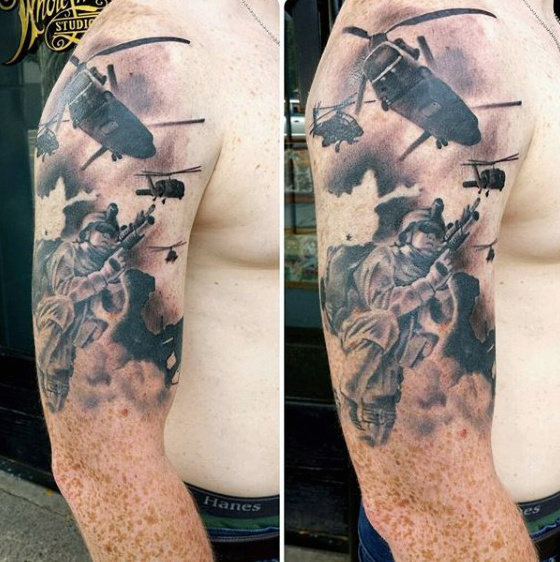 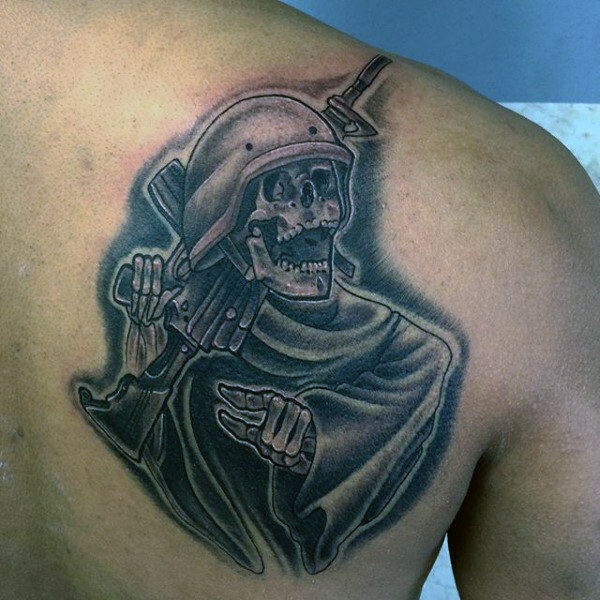 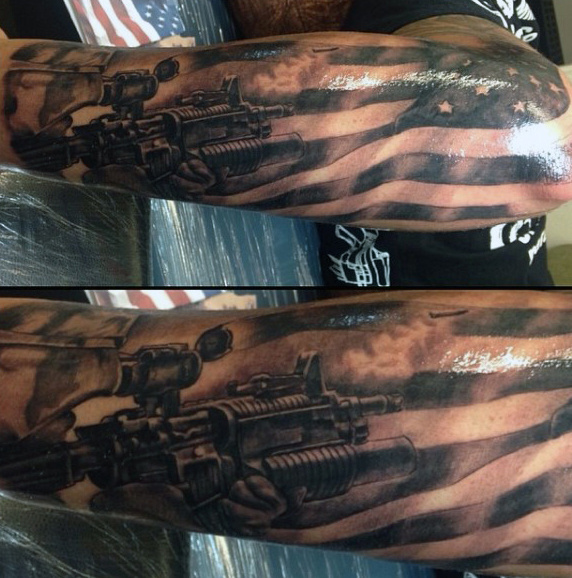 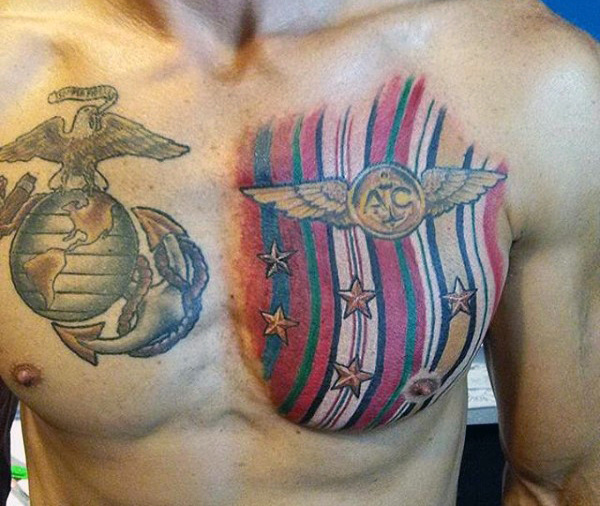 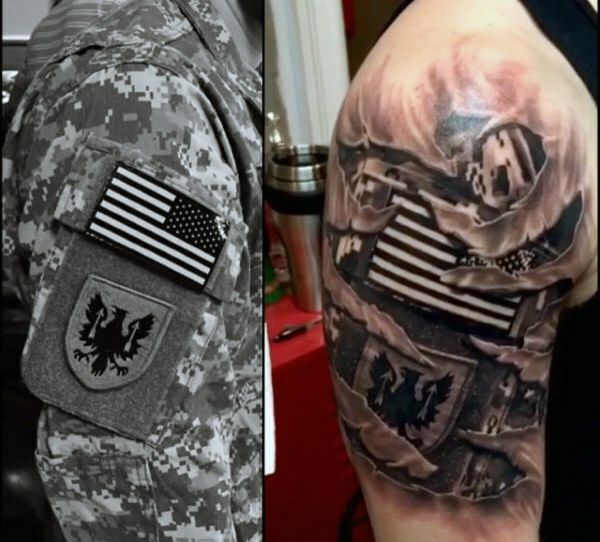 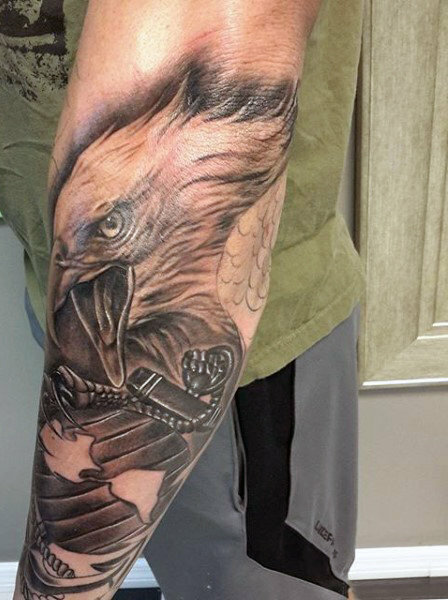 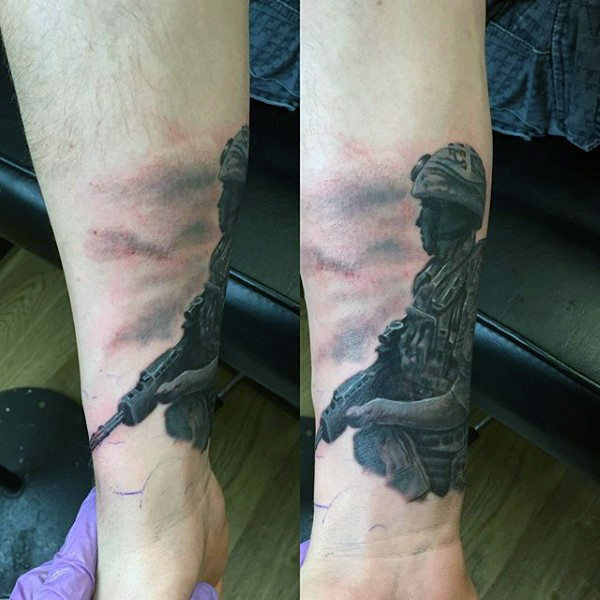 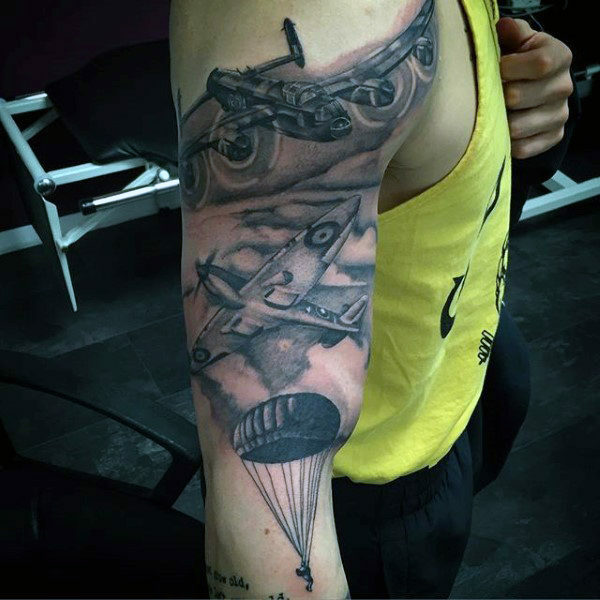 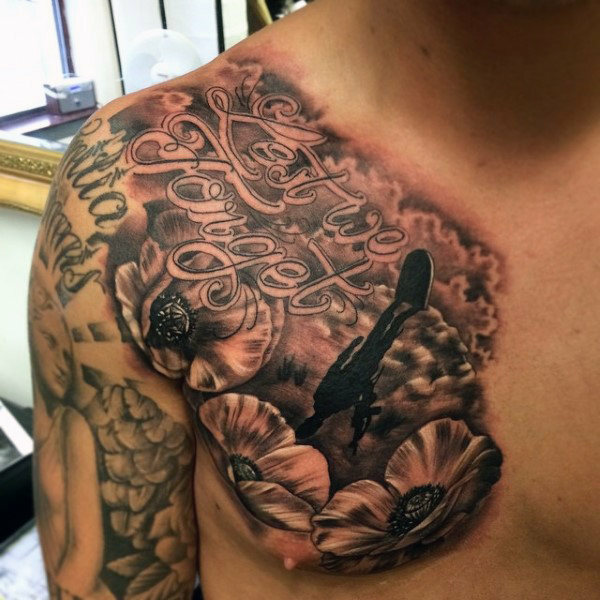 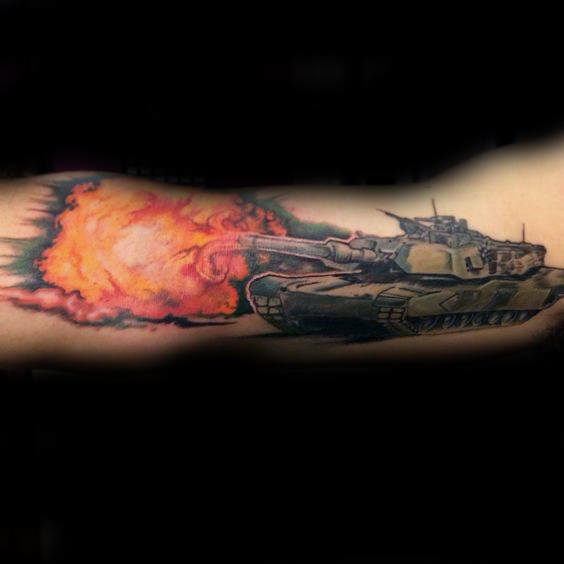 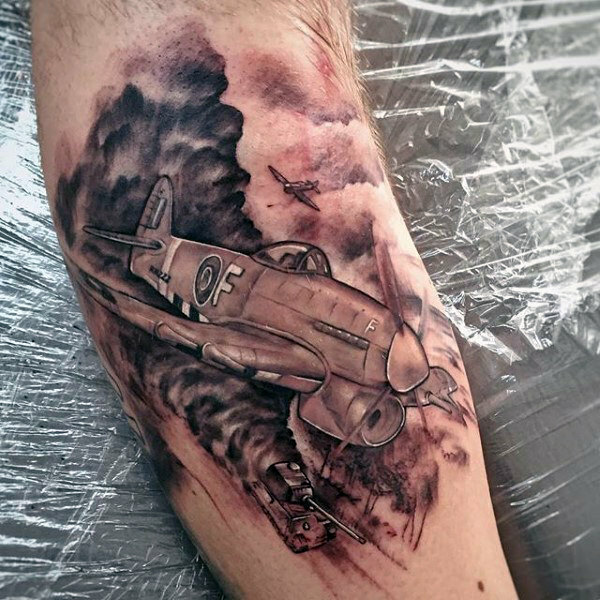 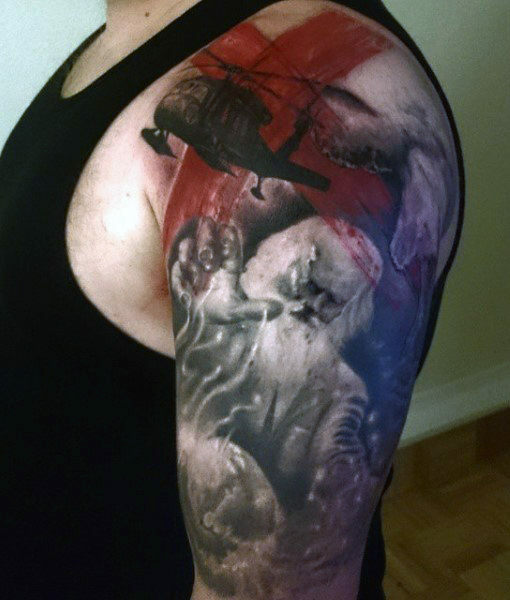 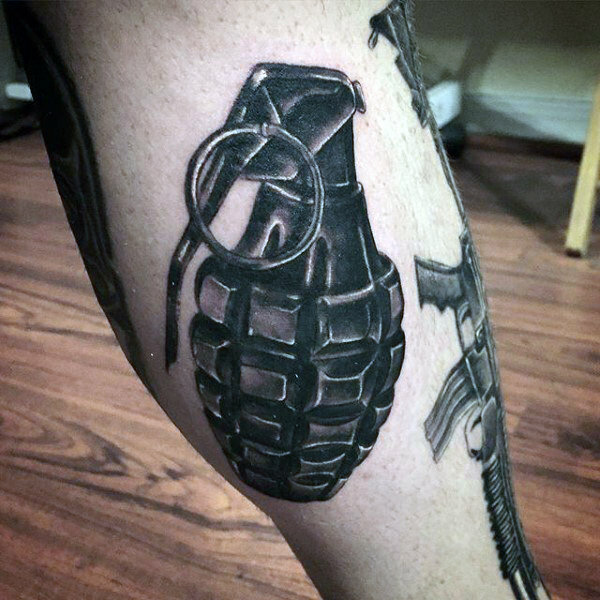 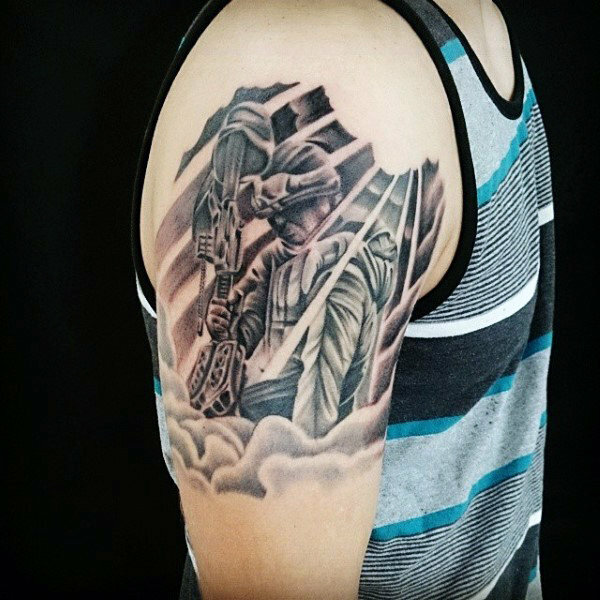 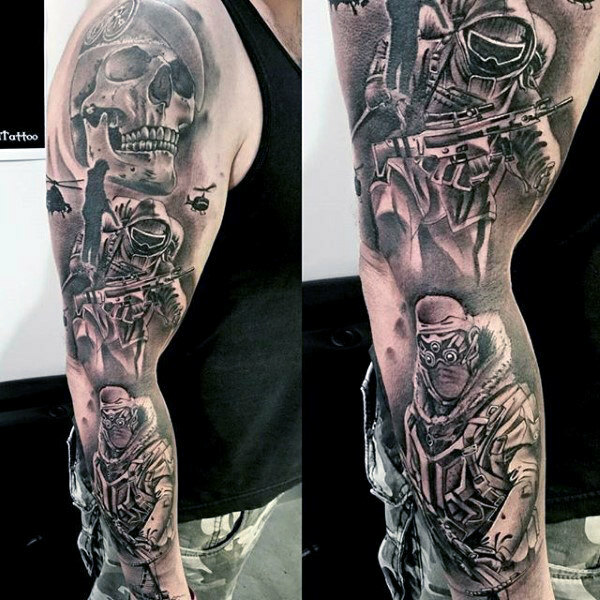 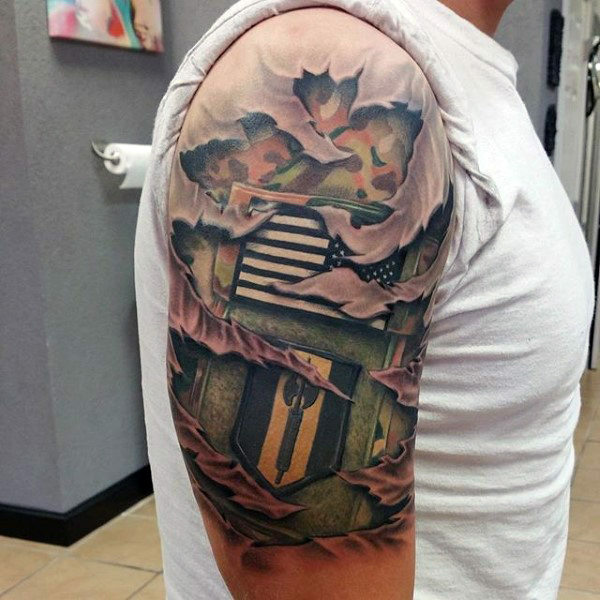 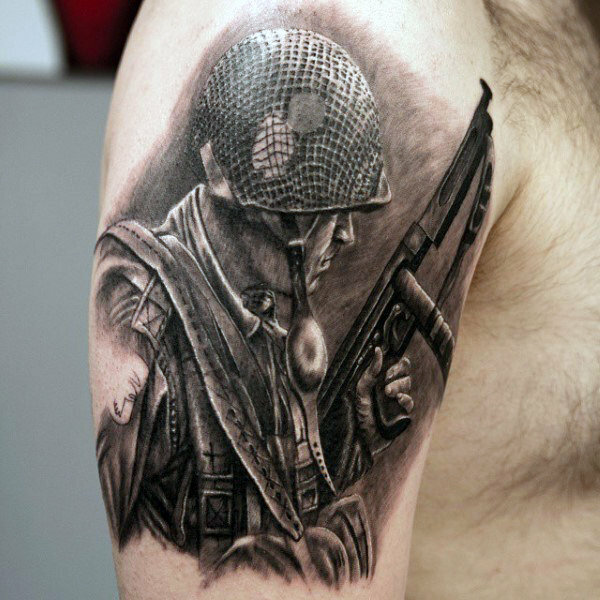 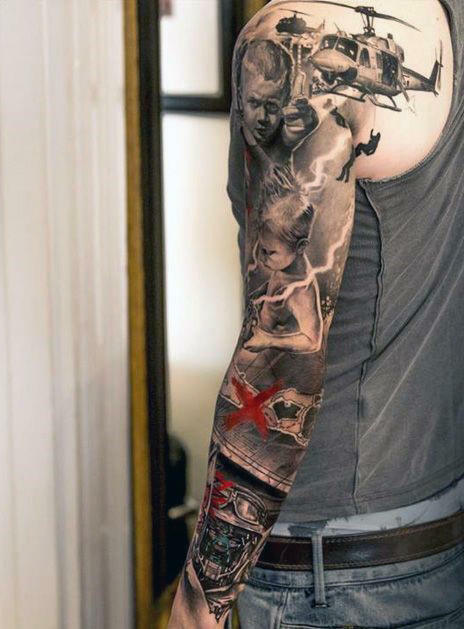 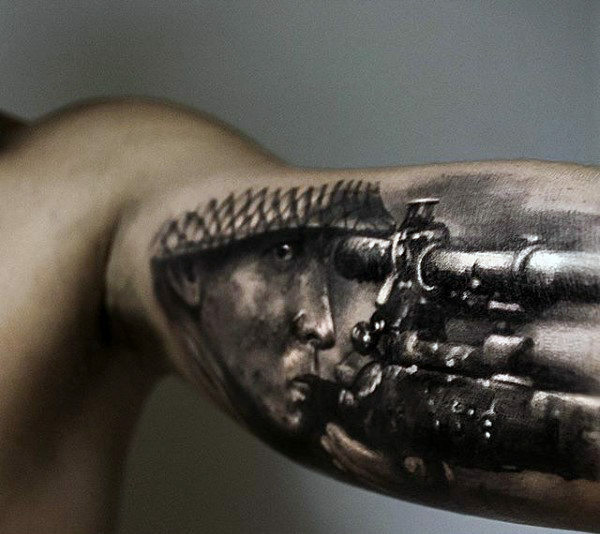 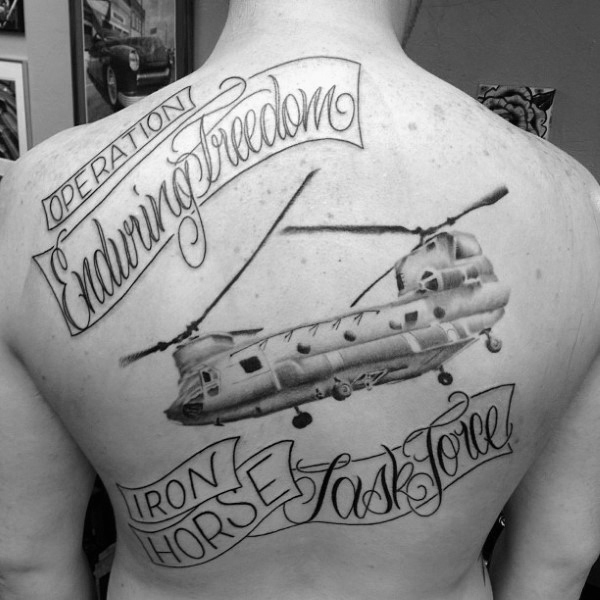 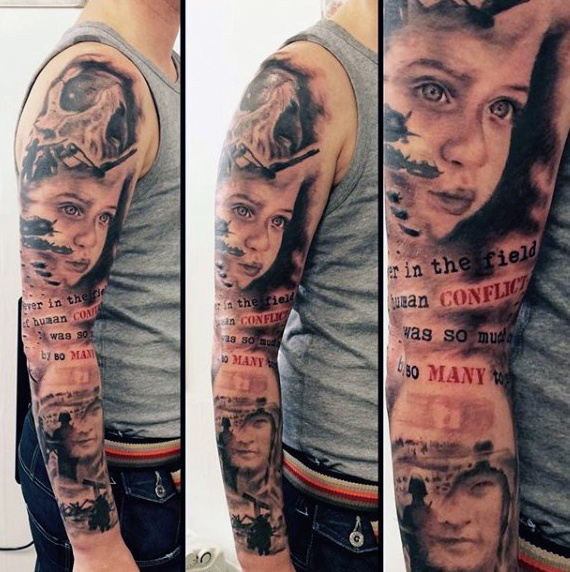 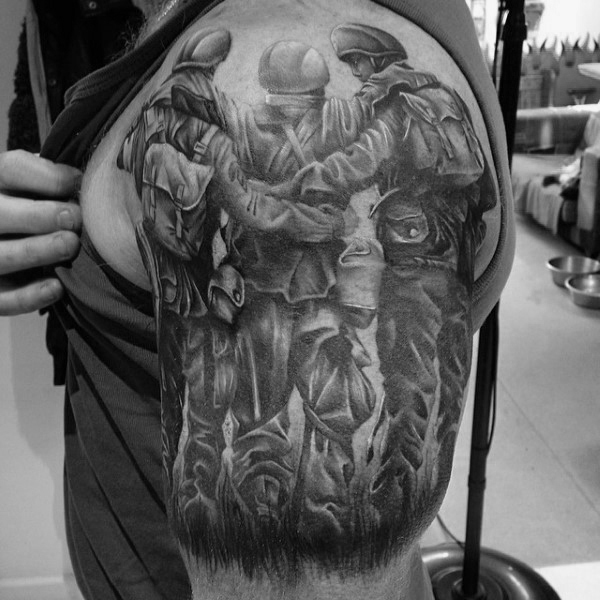 Army tattoos can be outlined in black and white or in any color as per your desire. 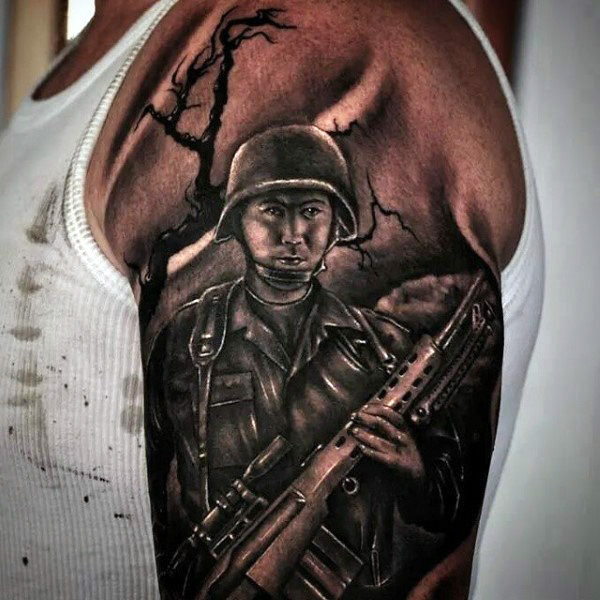 It’s time to salute your motherland by communicating your support and homage to the soldiers who sacrifice a lot for the country. 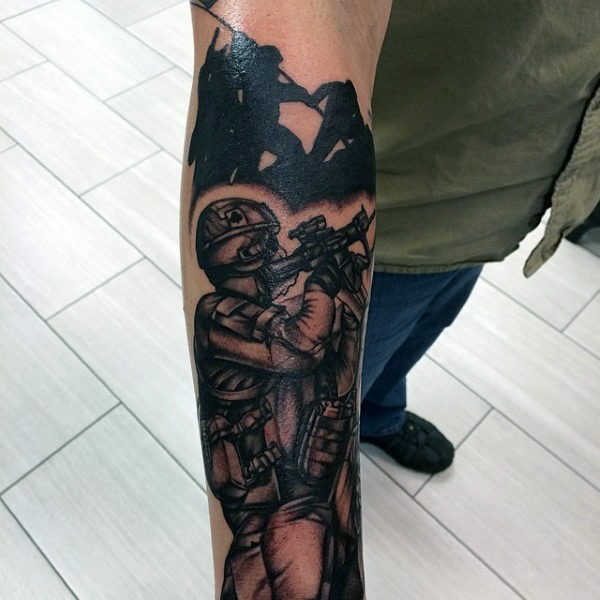 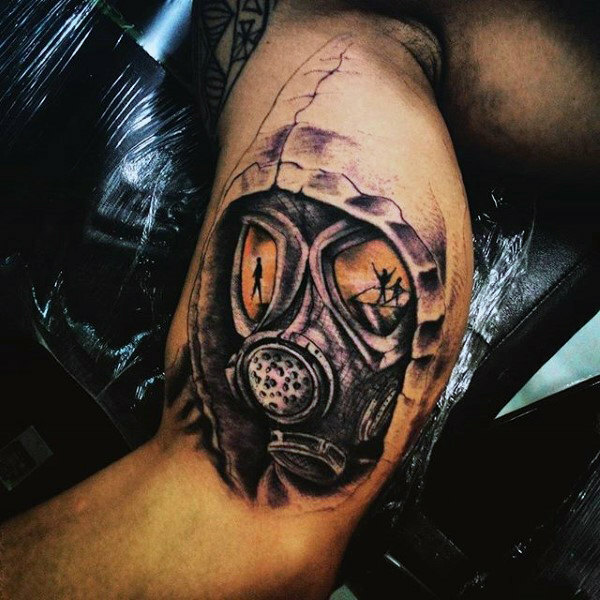 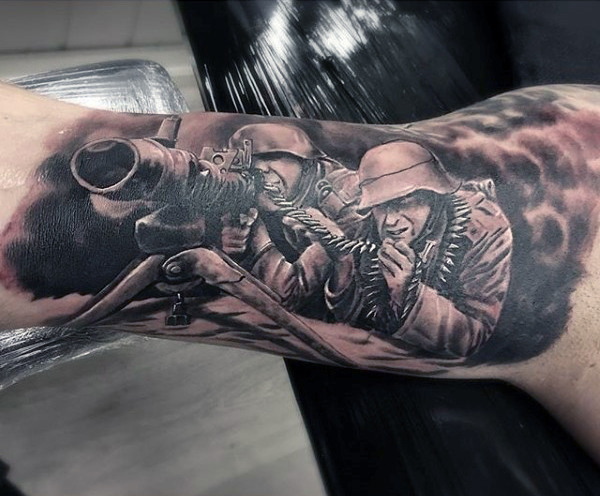 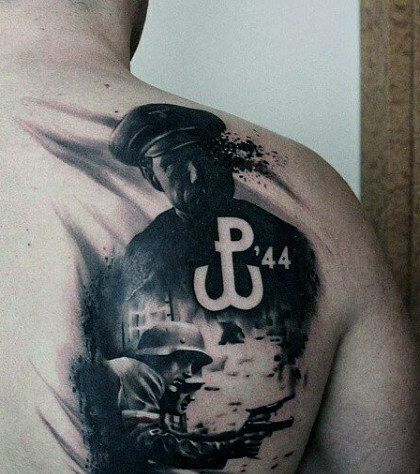 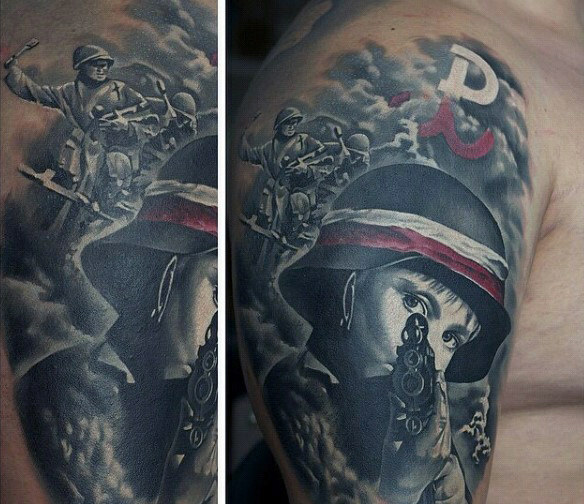 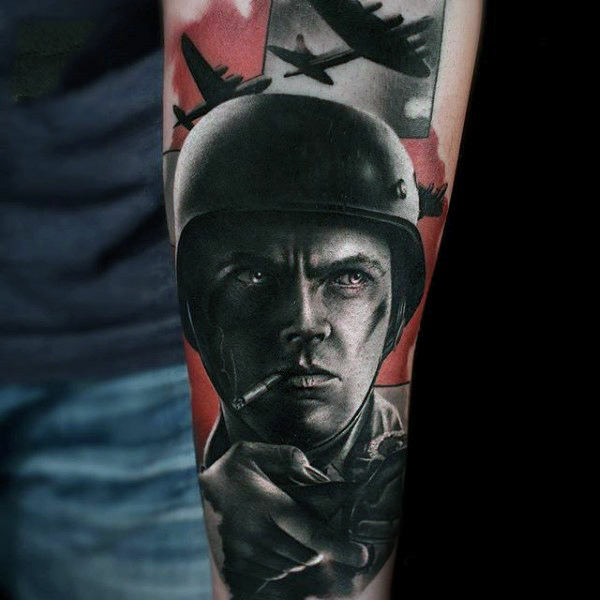 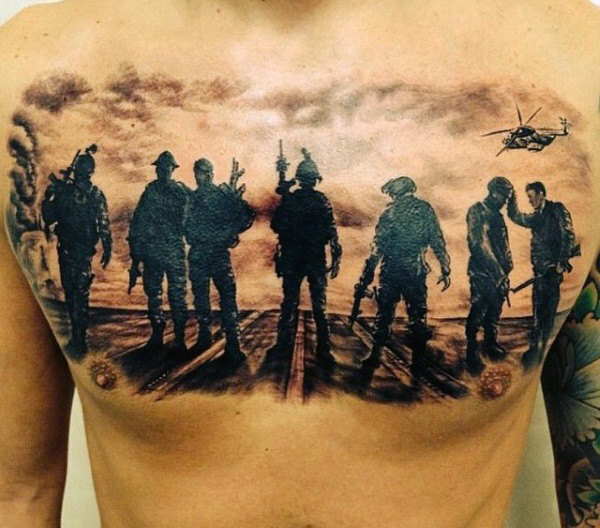 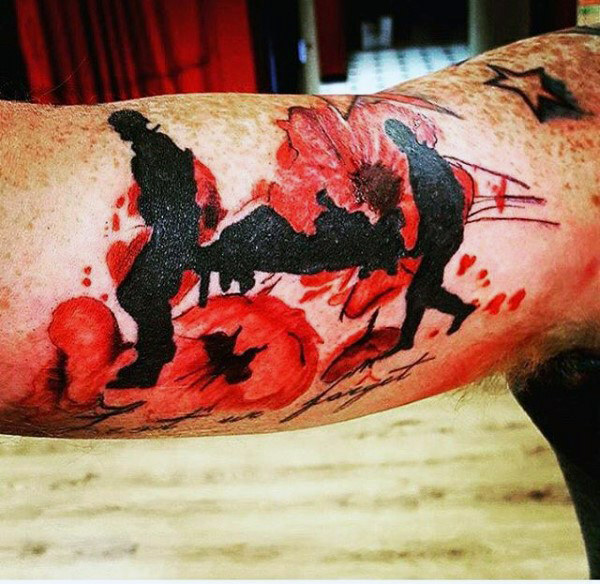 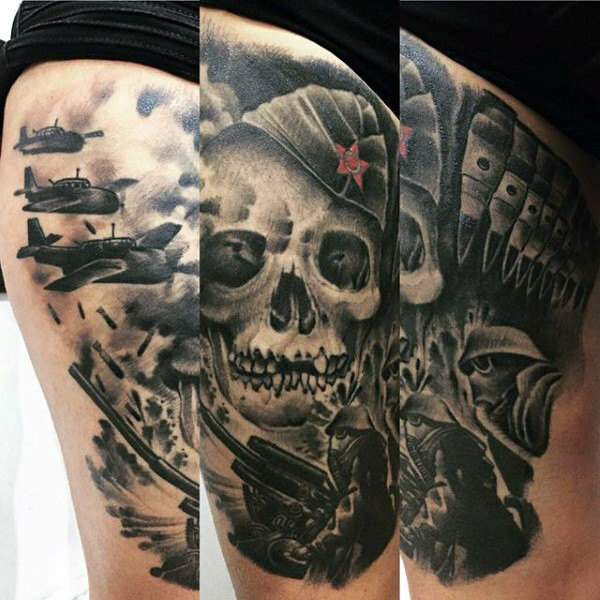 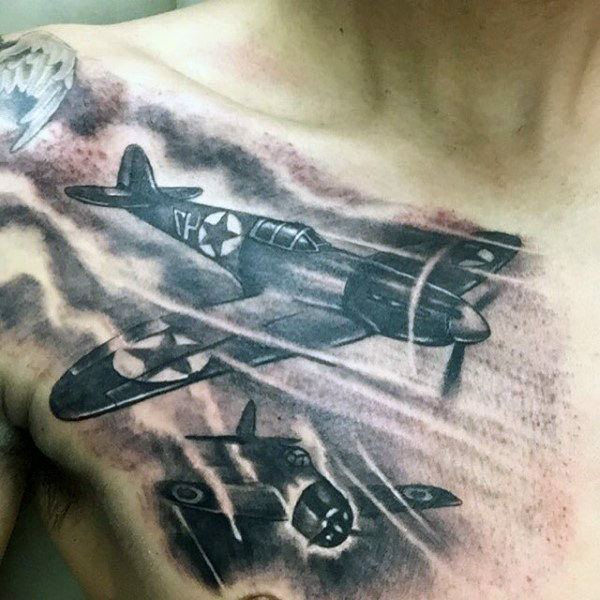 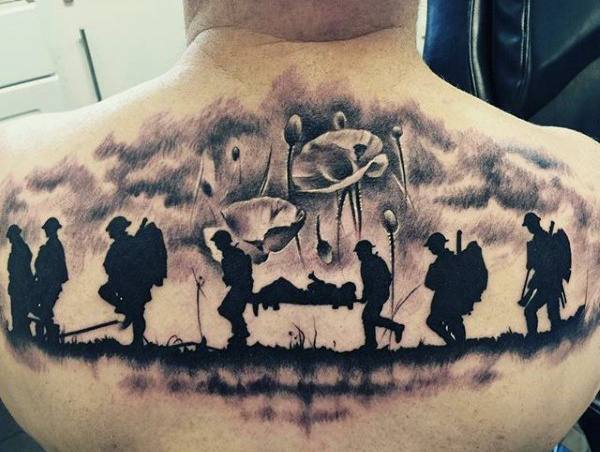 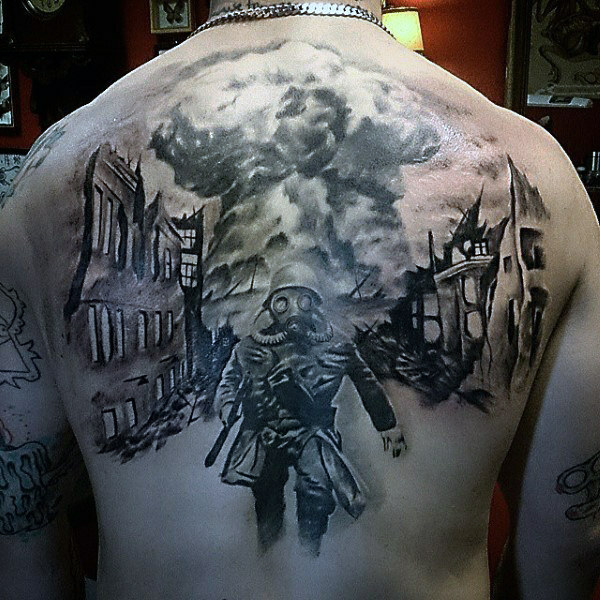 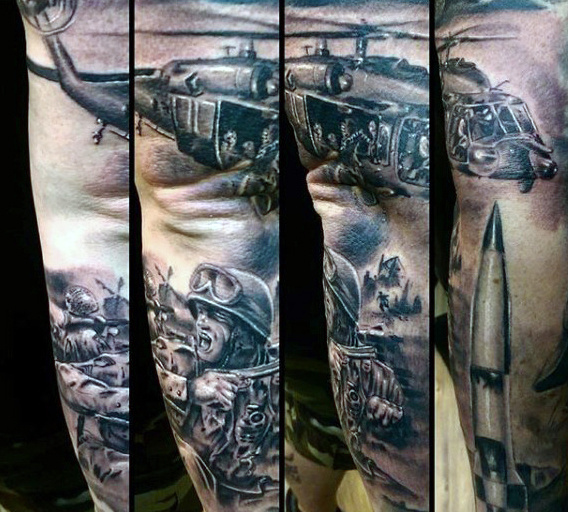 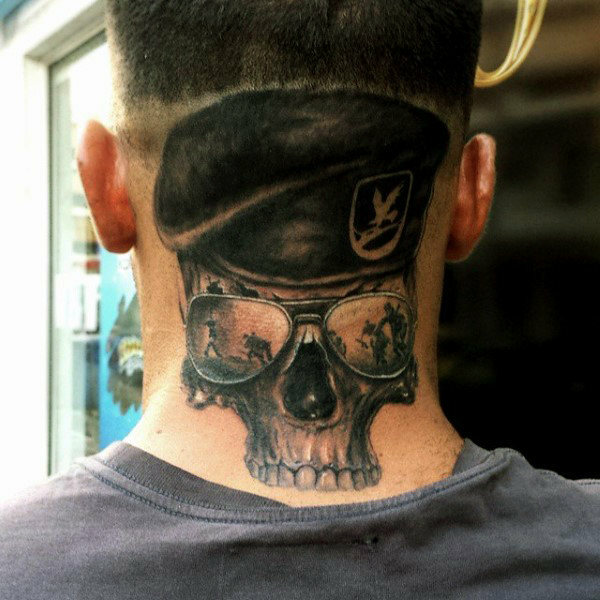 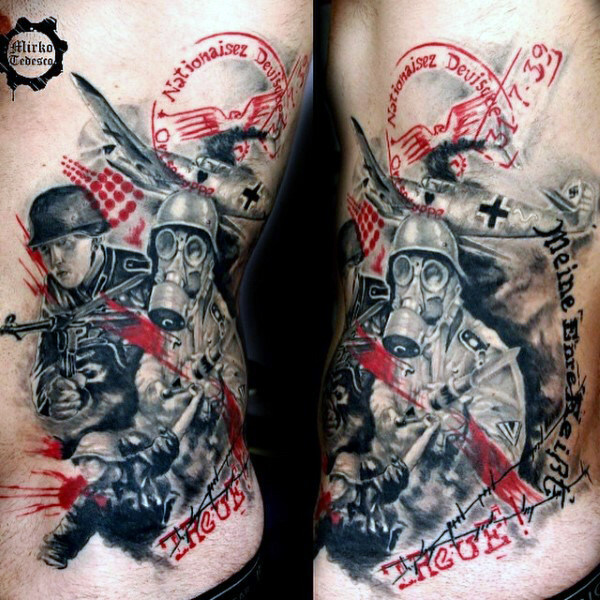 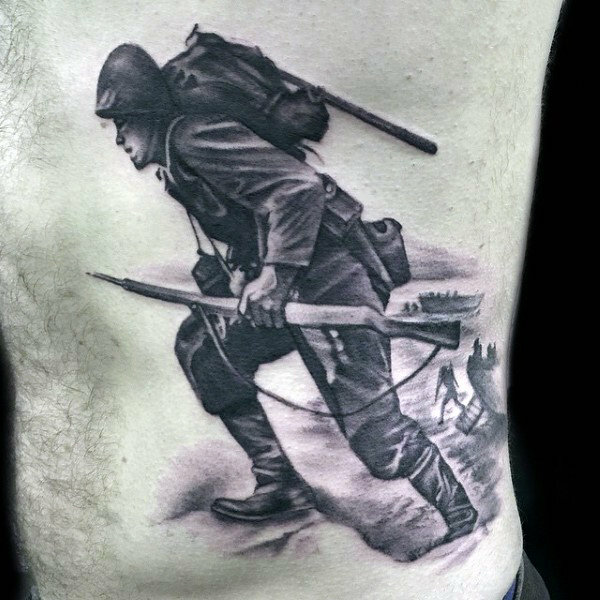 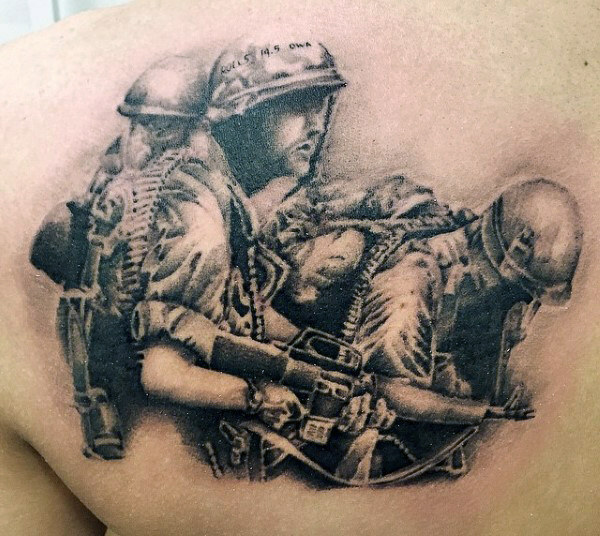 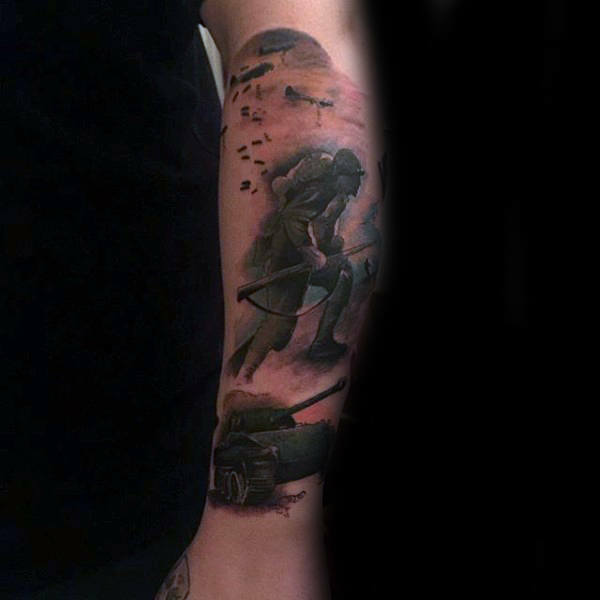 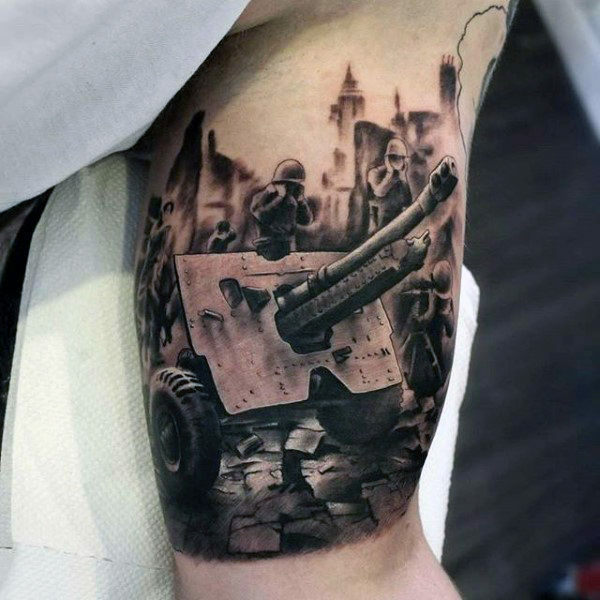 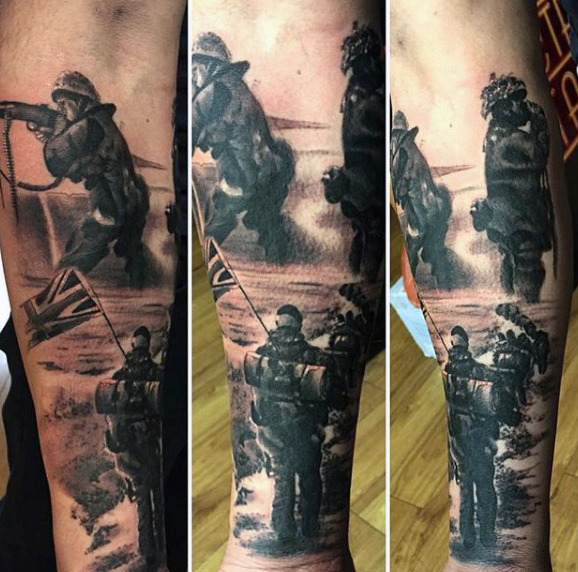 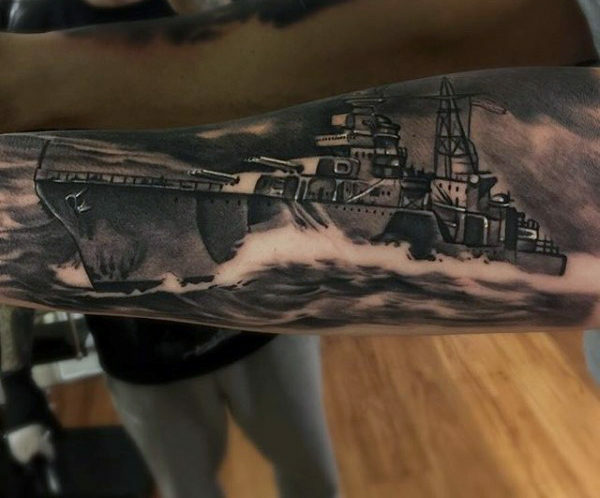 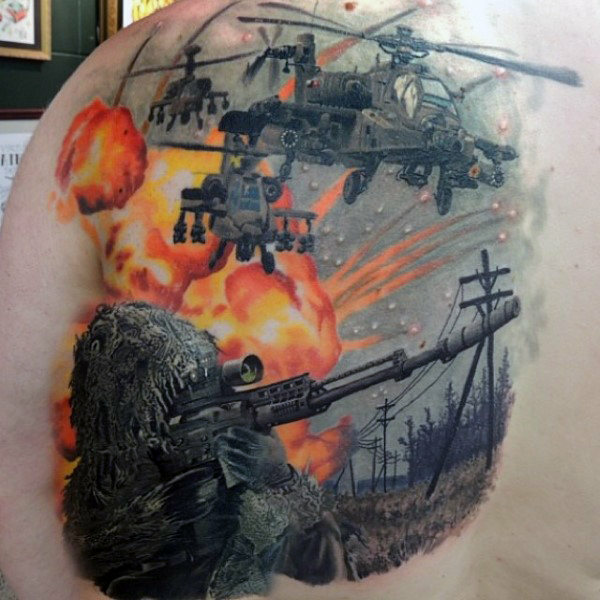 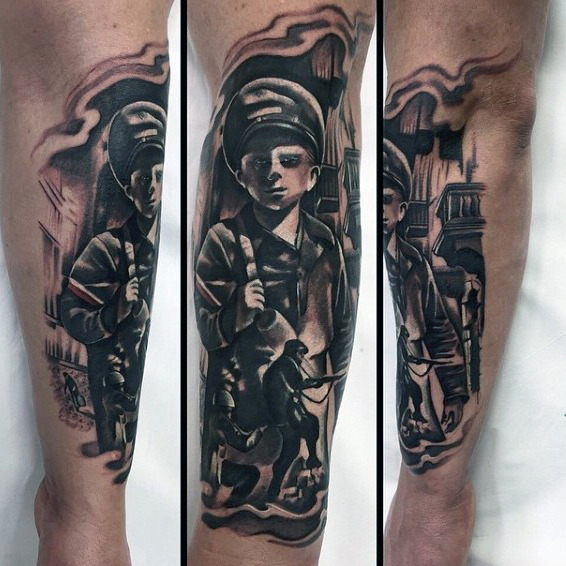 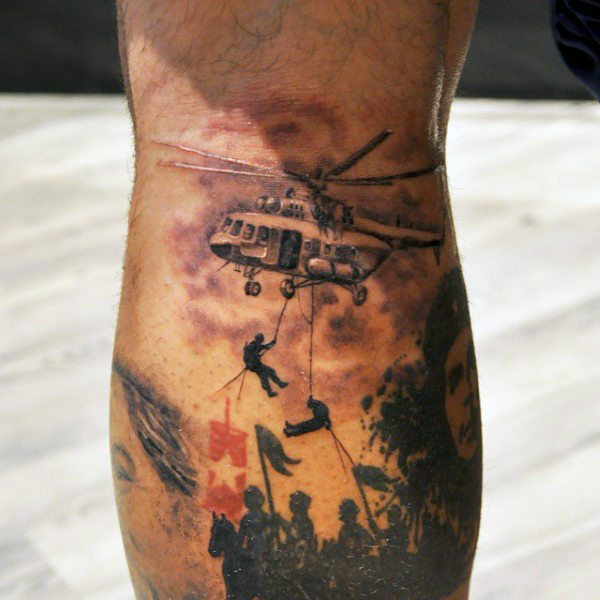 If you also want to pay tribute to those unsung heroes of the World, here’s a collection of army tattoo designs for you.